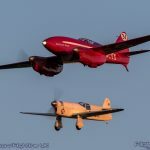 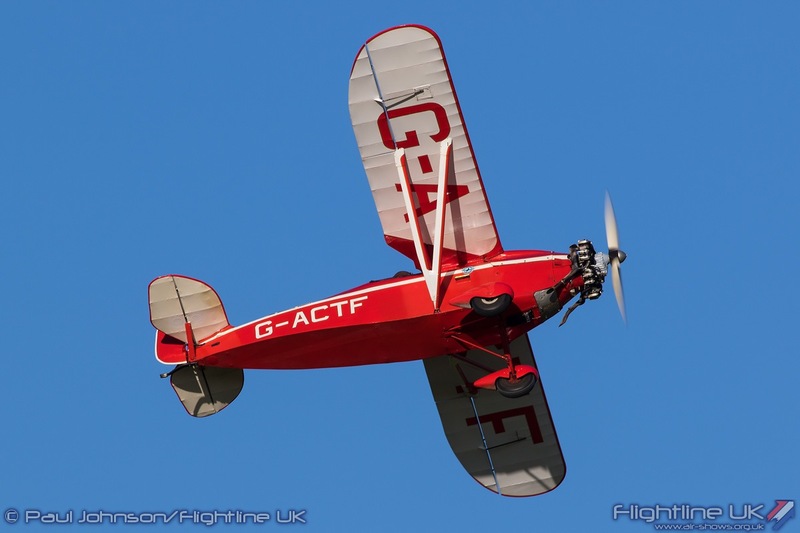 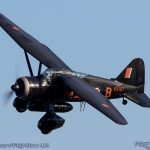 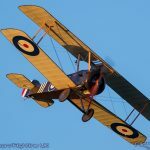 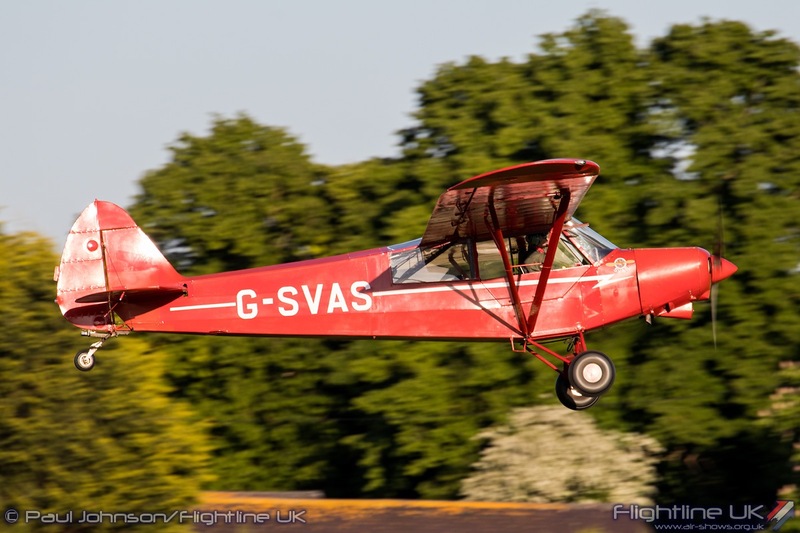 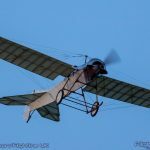 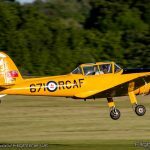 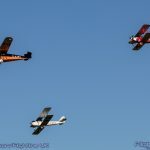 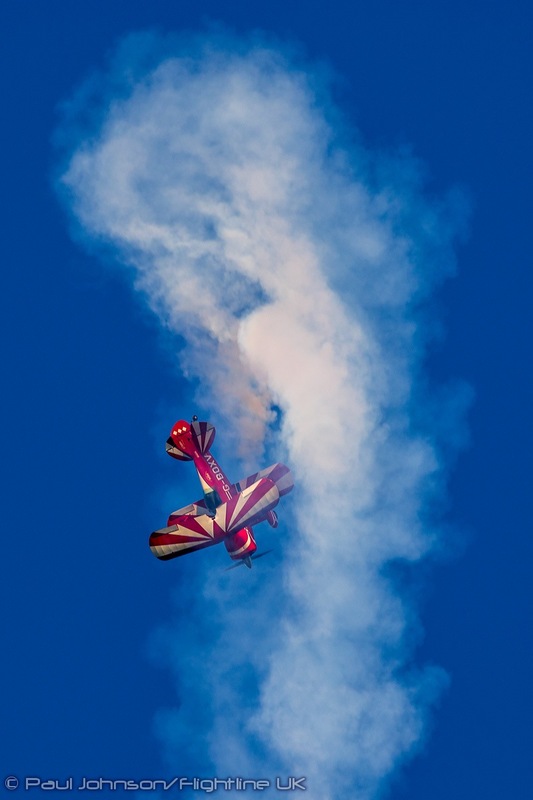 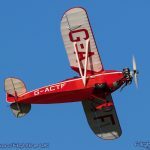 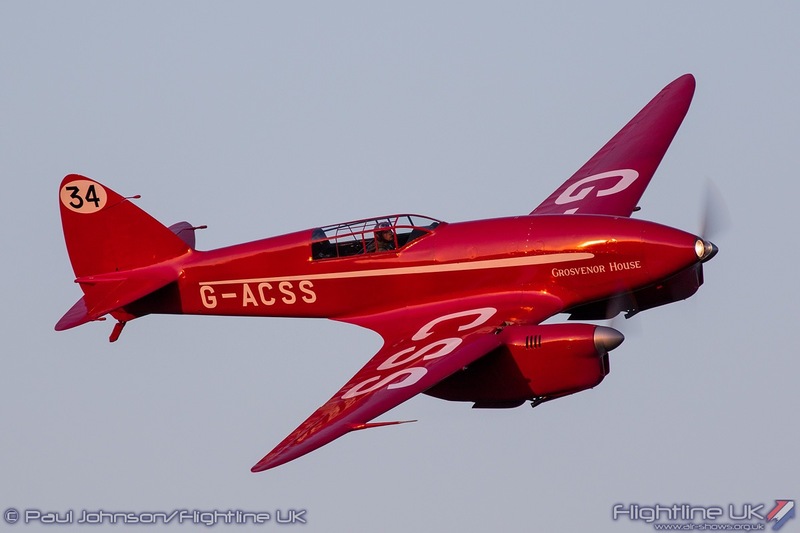 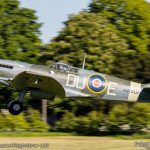 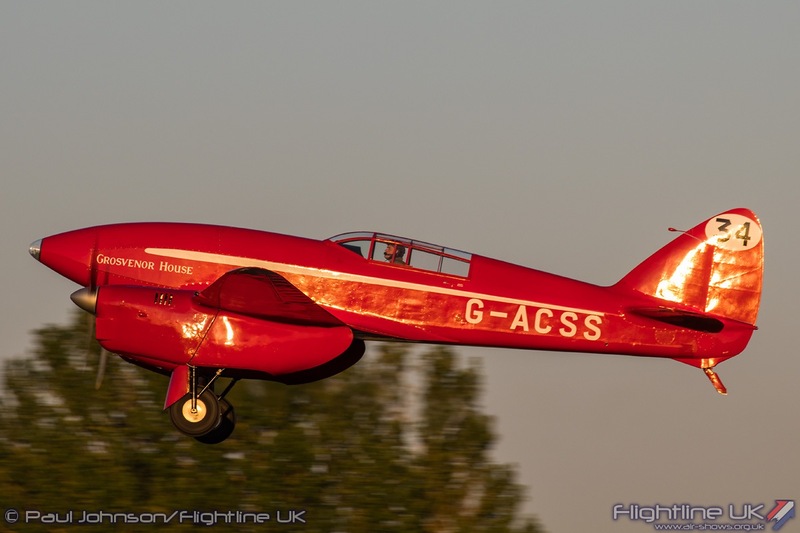 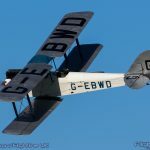 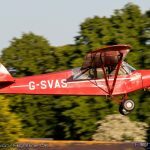 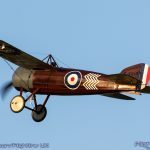 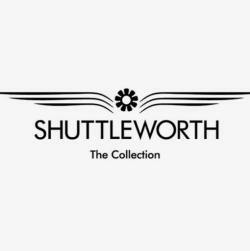 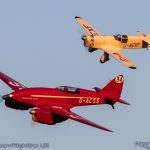 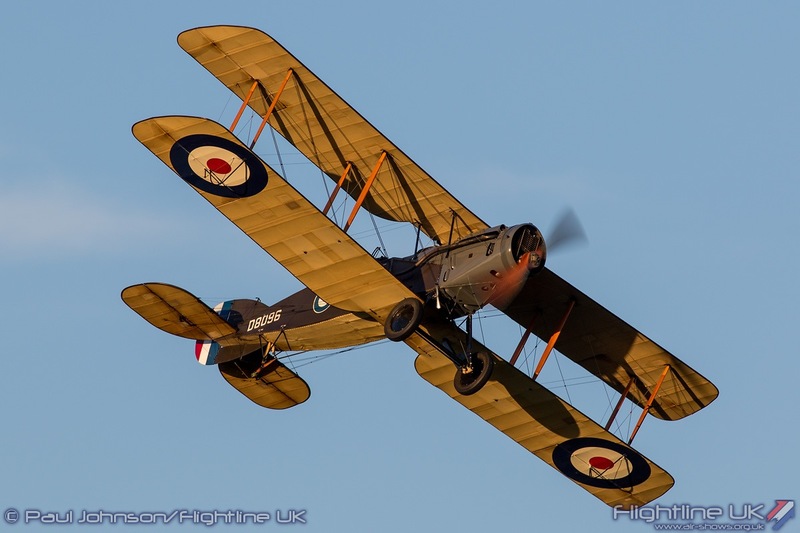 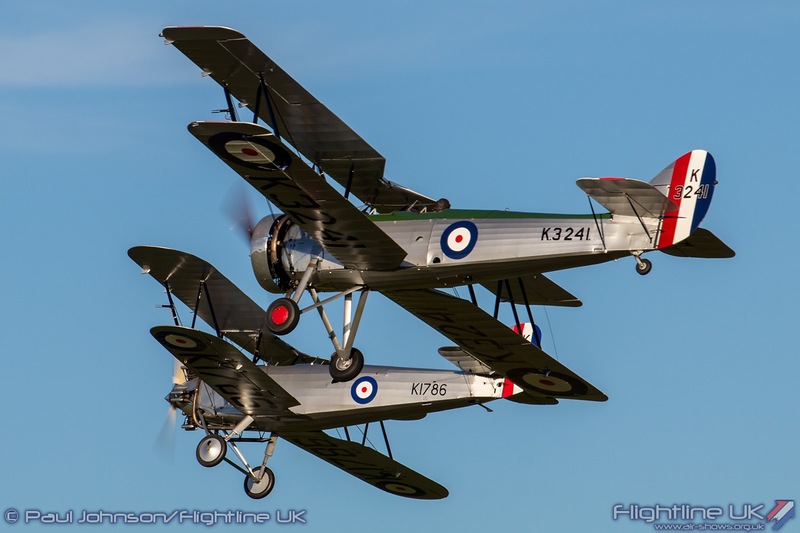 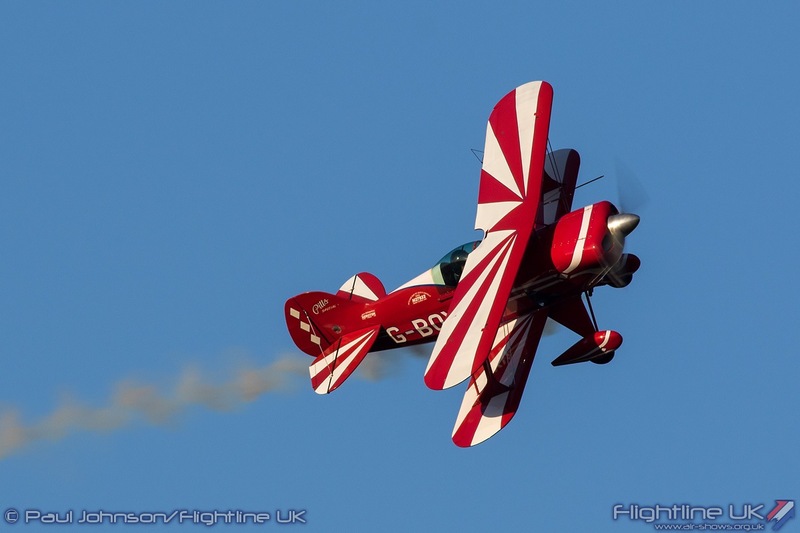 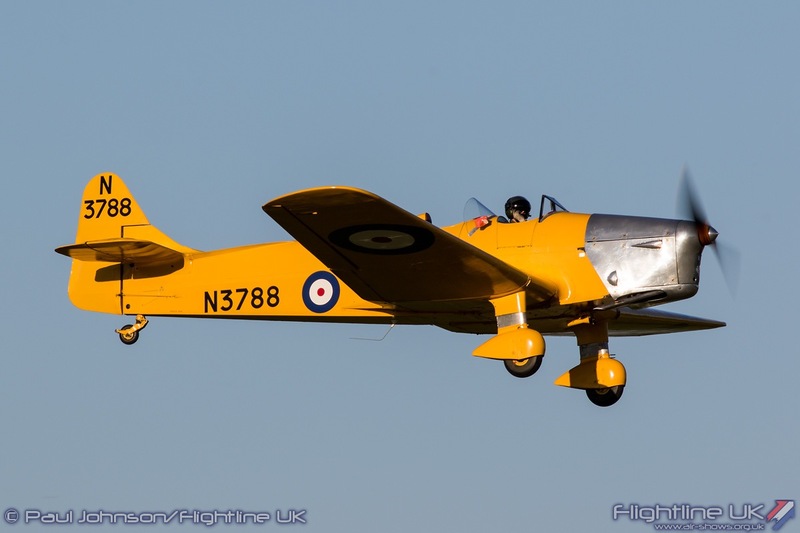 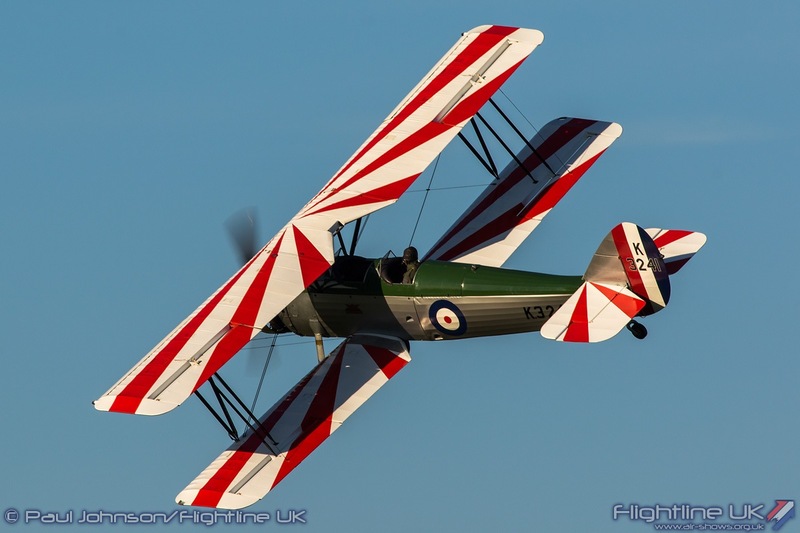 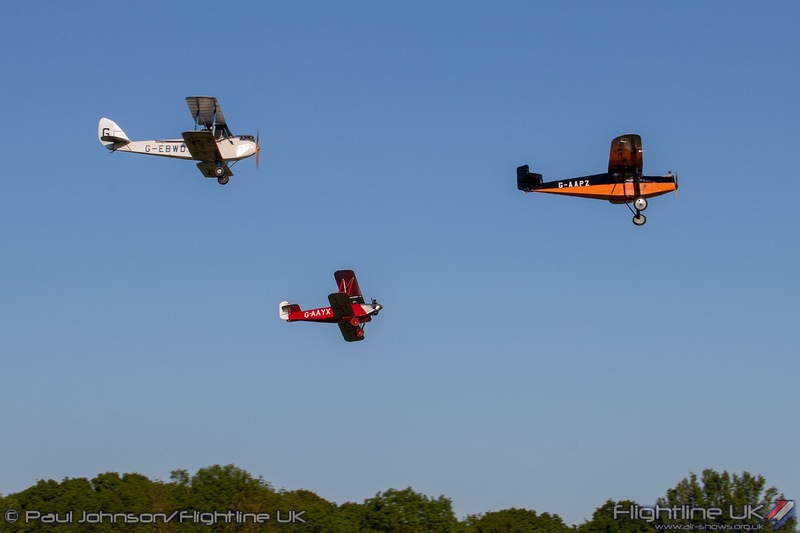 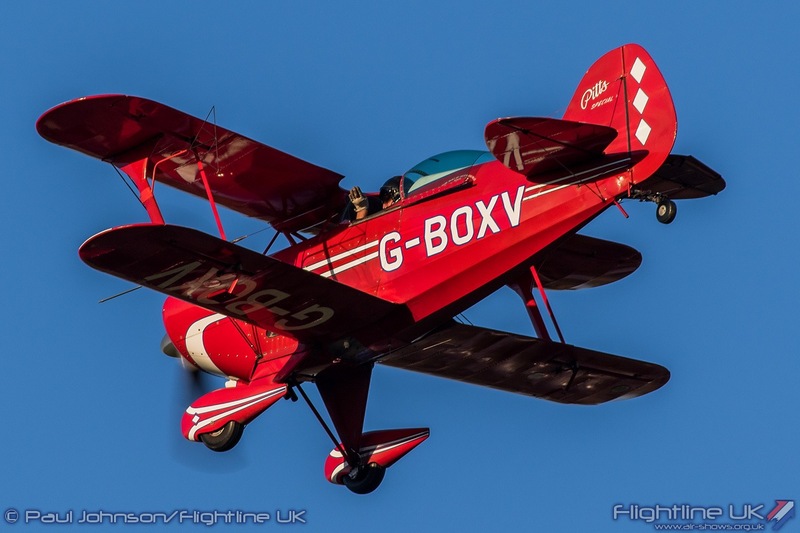 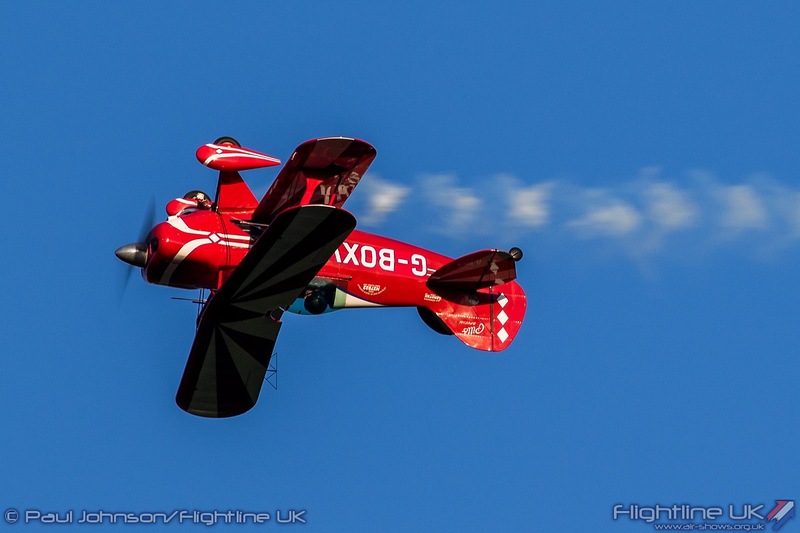 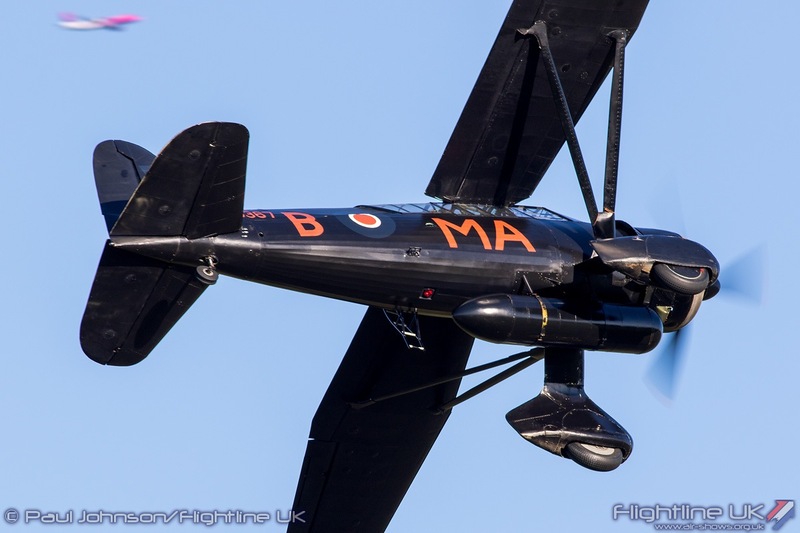 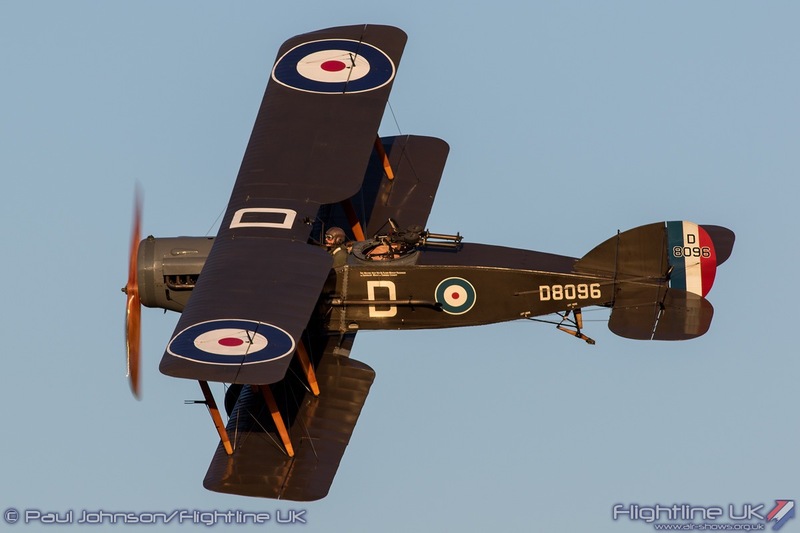 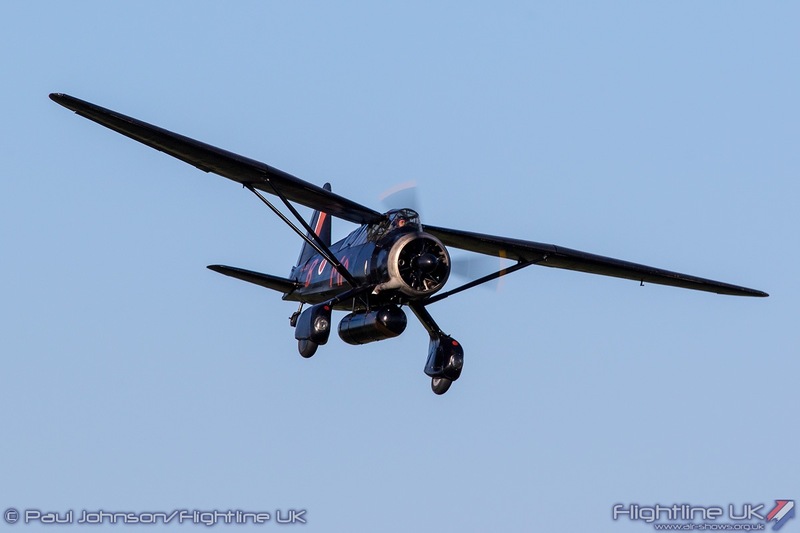 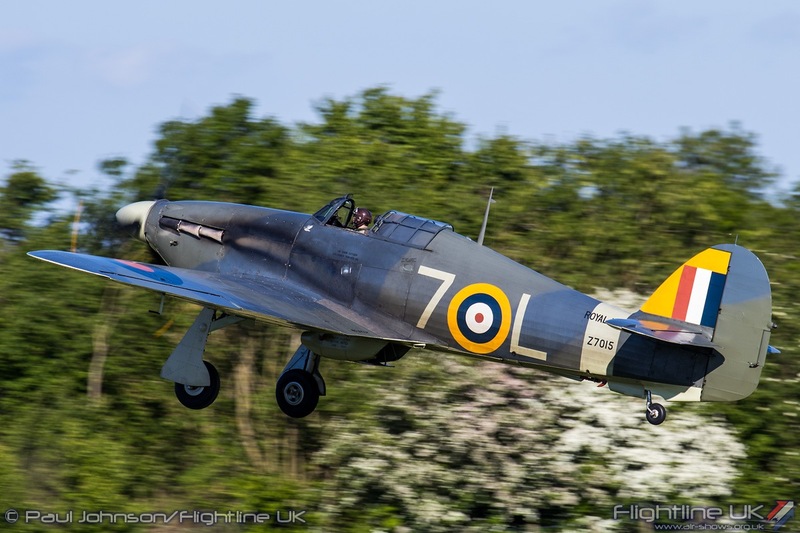 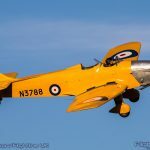 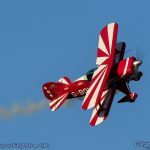 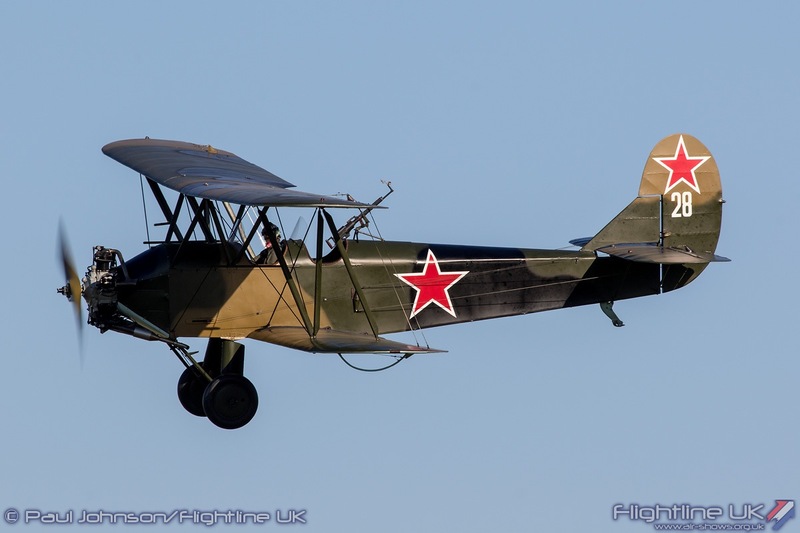 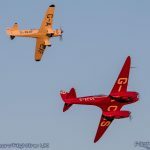 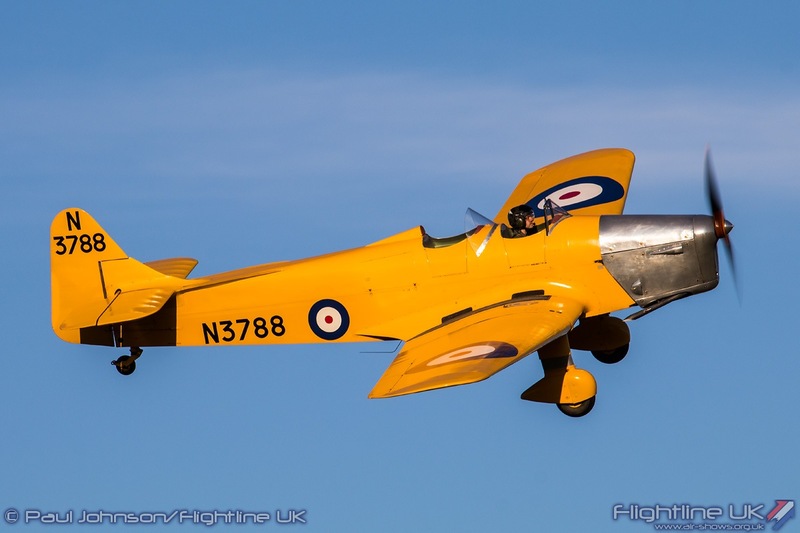 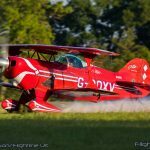 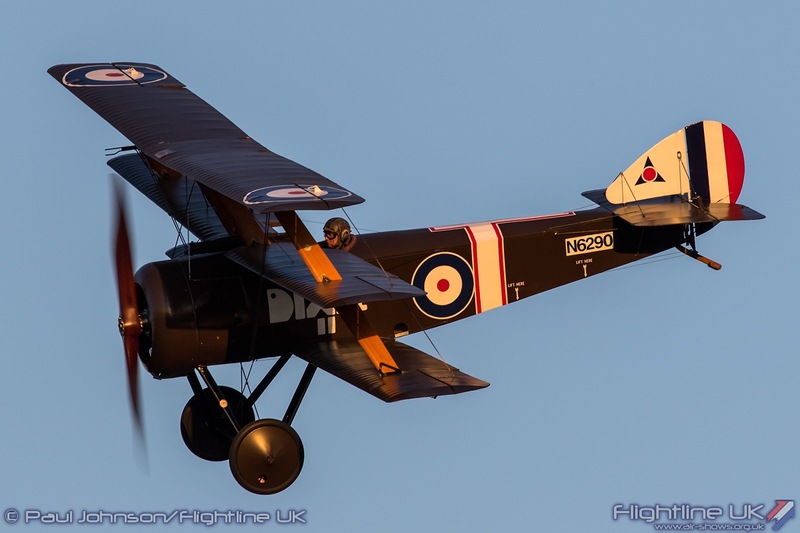 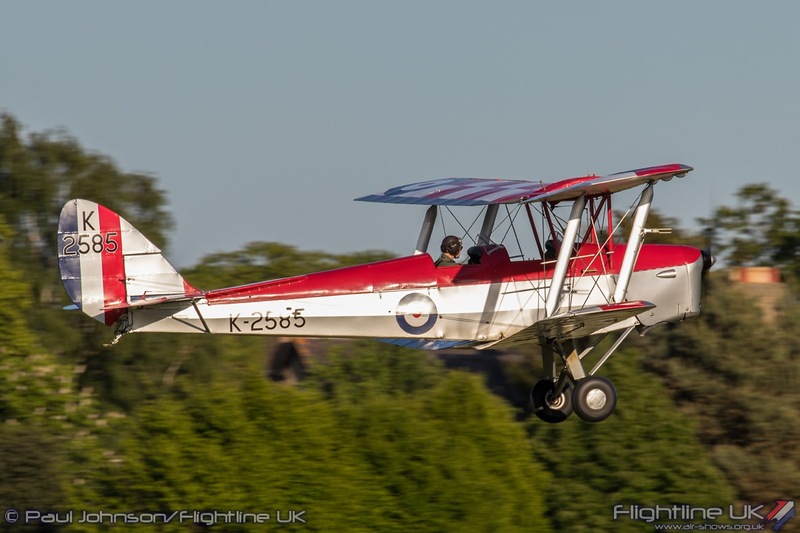 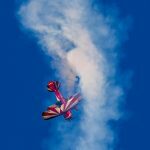 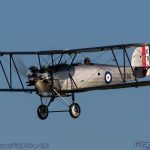 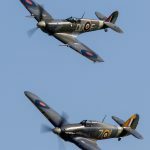 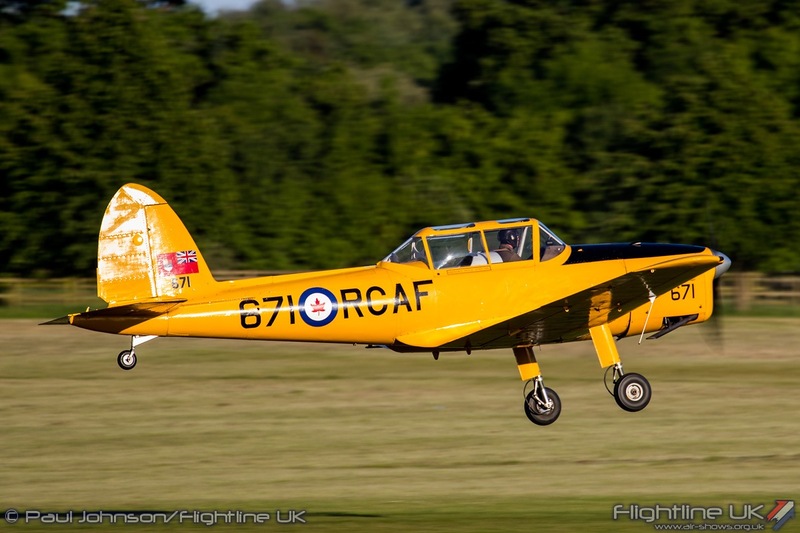 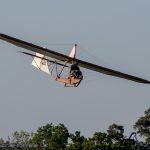 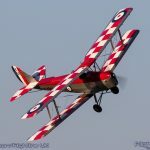 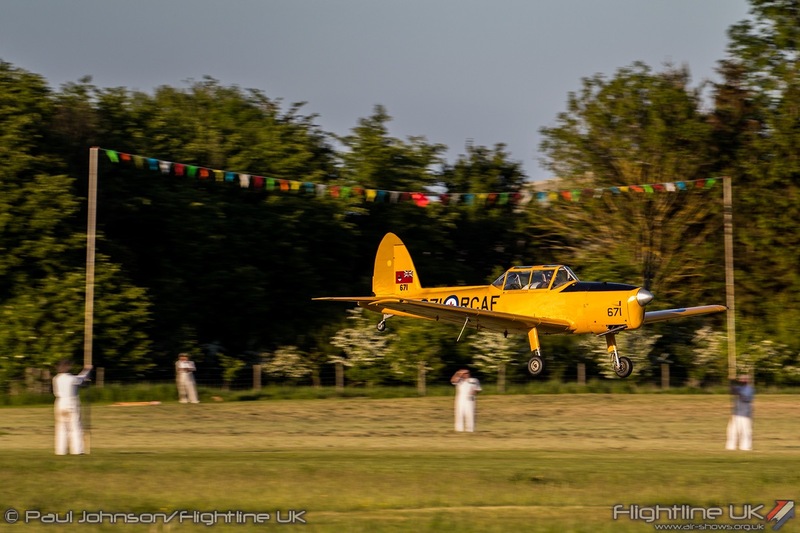 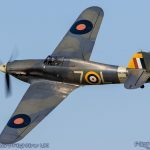 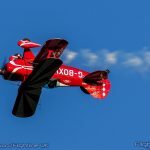 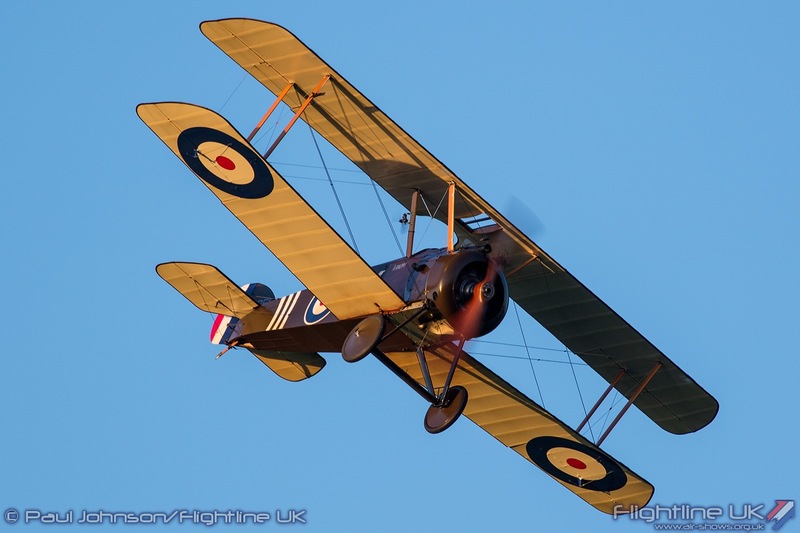 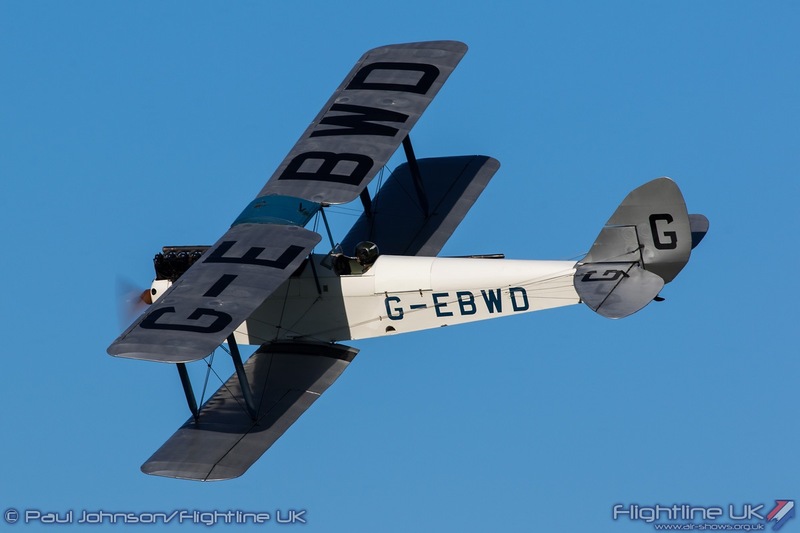 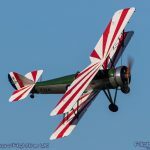 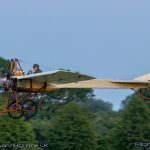 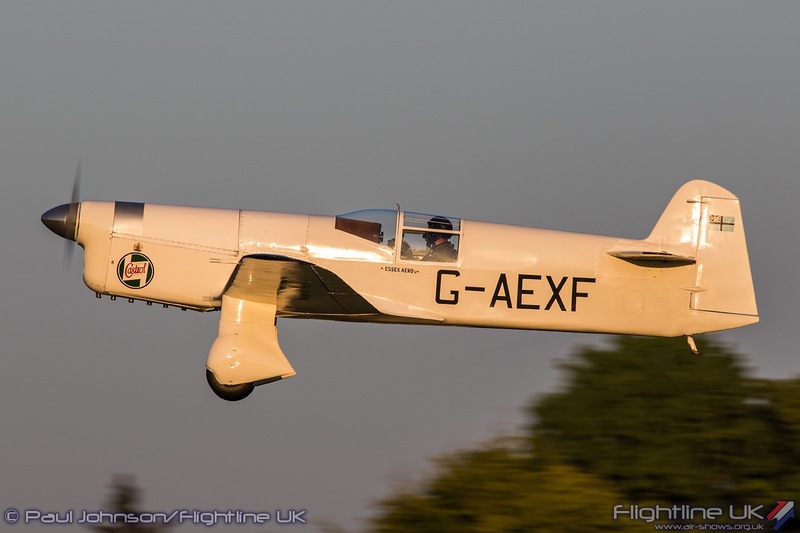 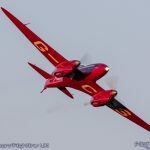 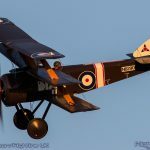 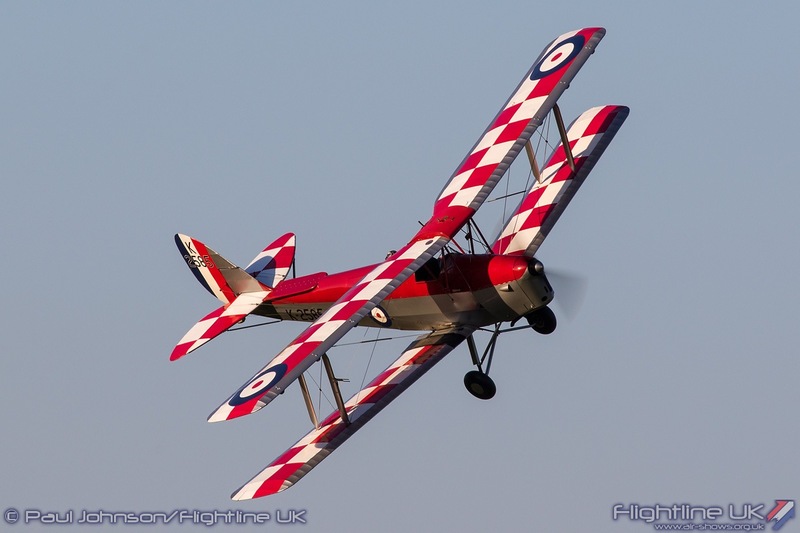 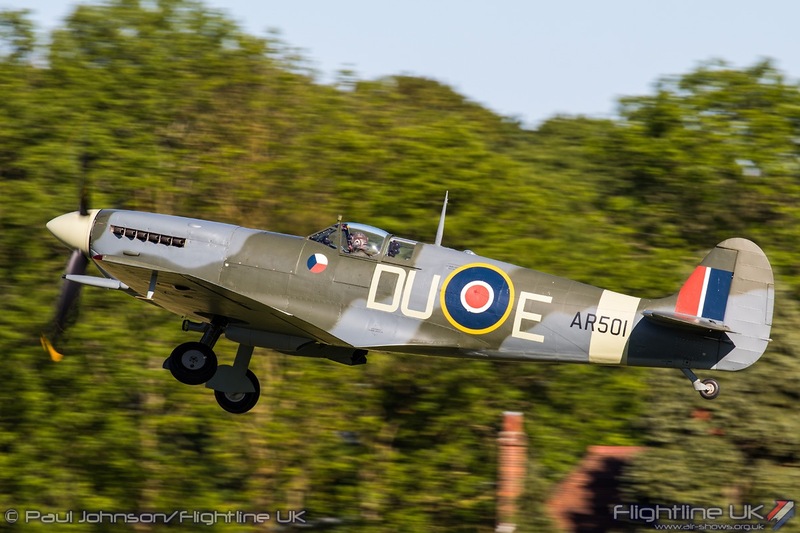 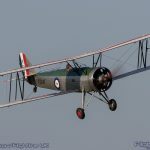 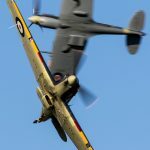 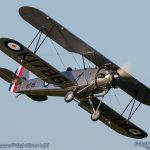 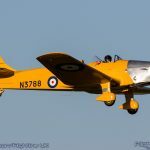 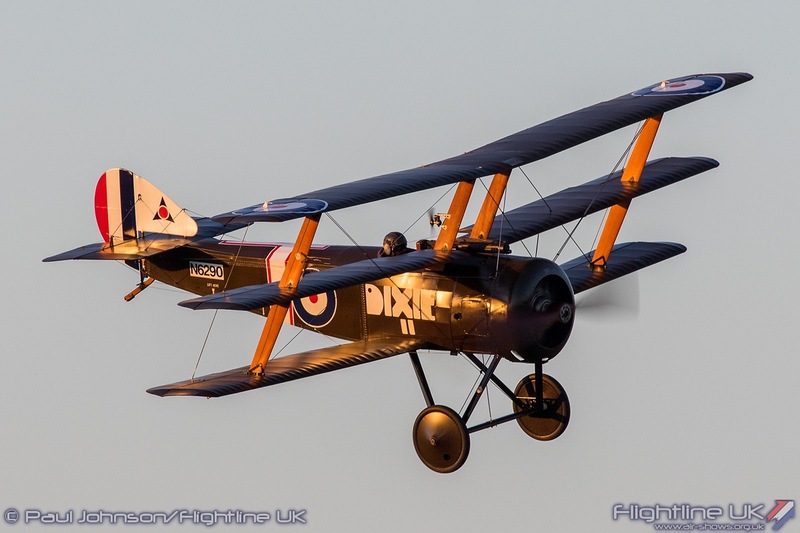 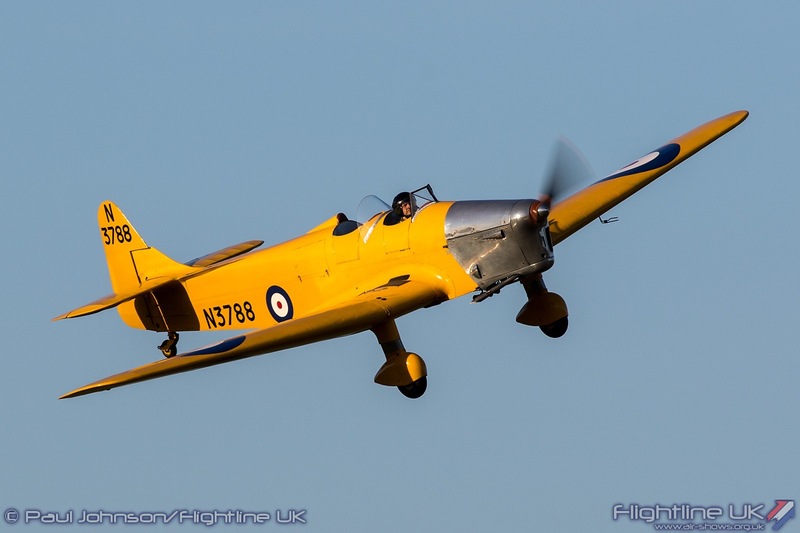 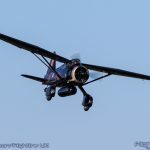 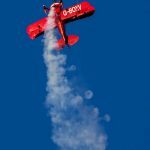 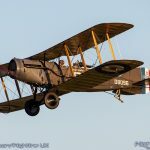 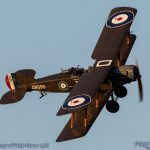 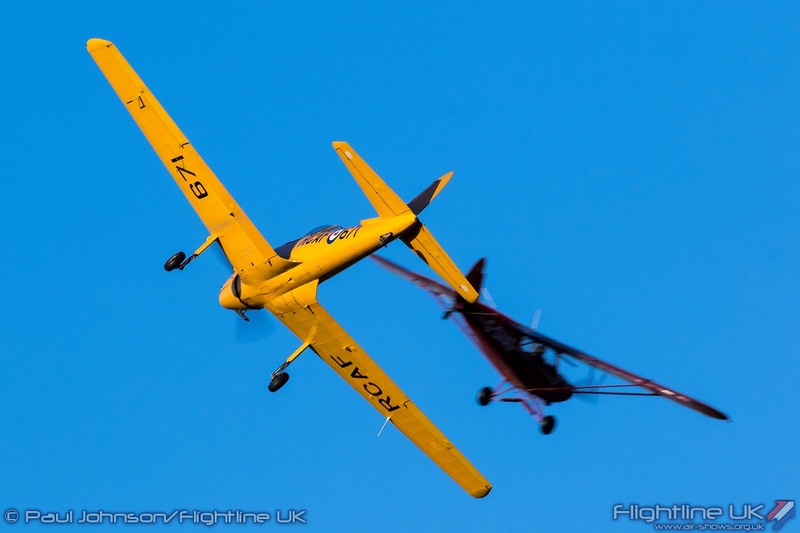 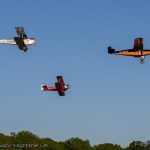 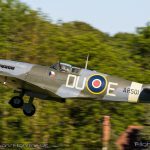 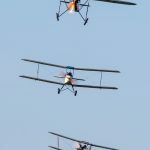 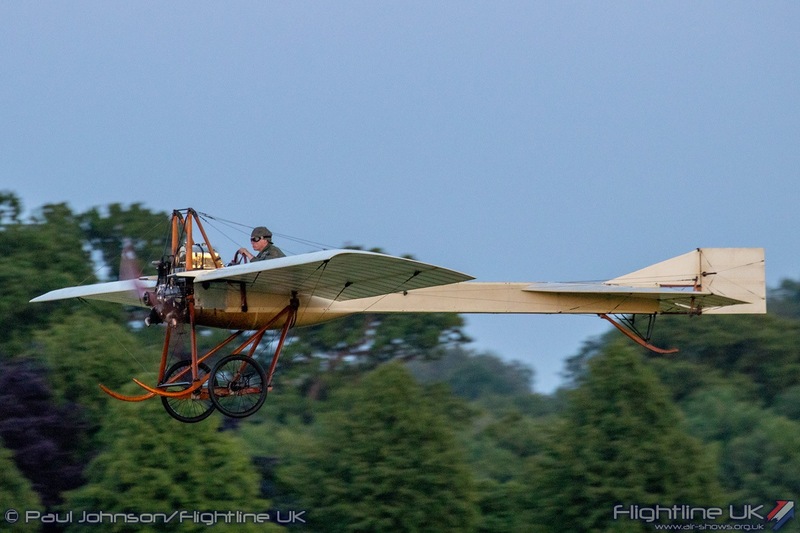 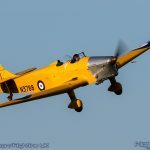 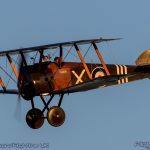 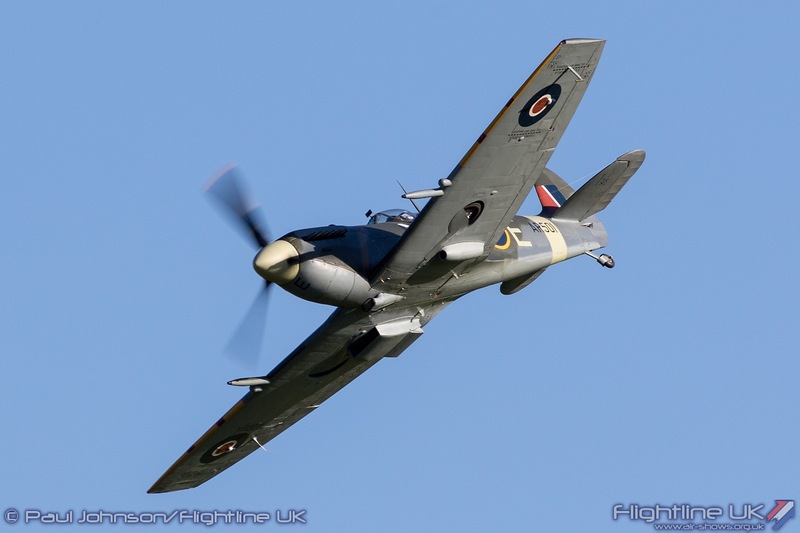 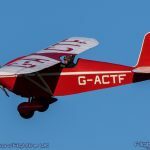 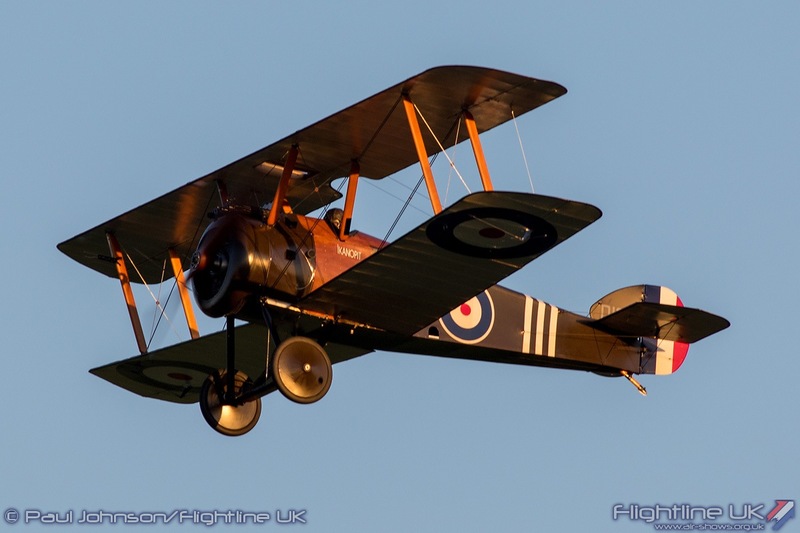 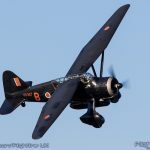 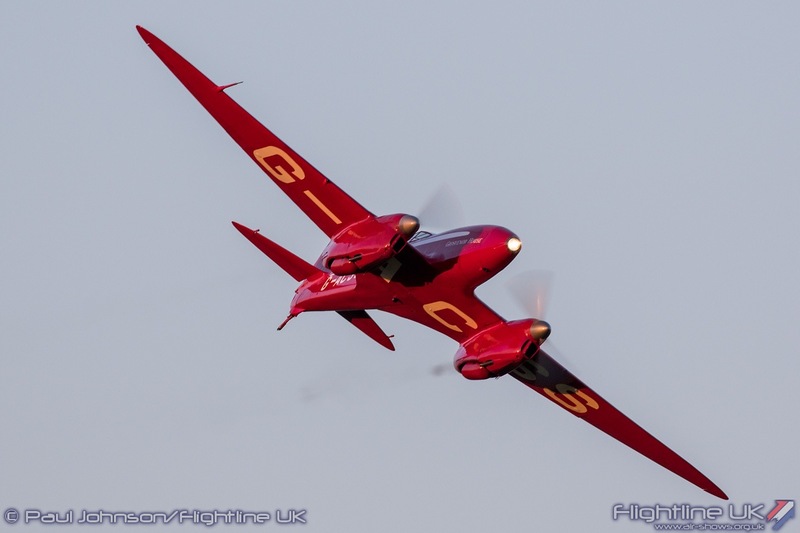 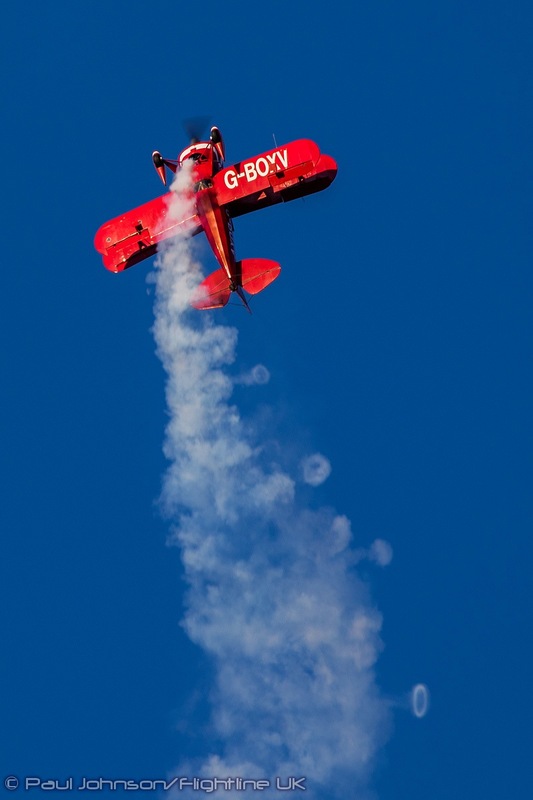 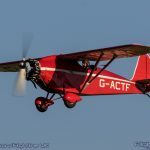 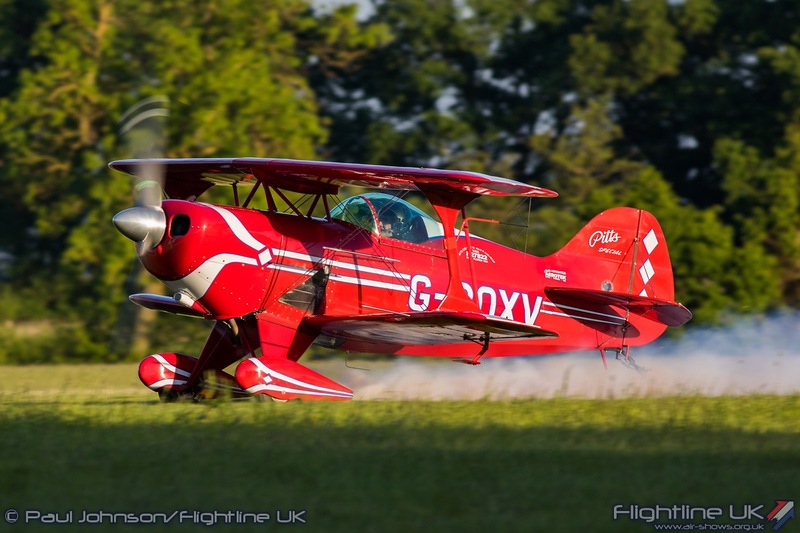 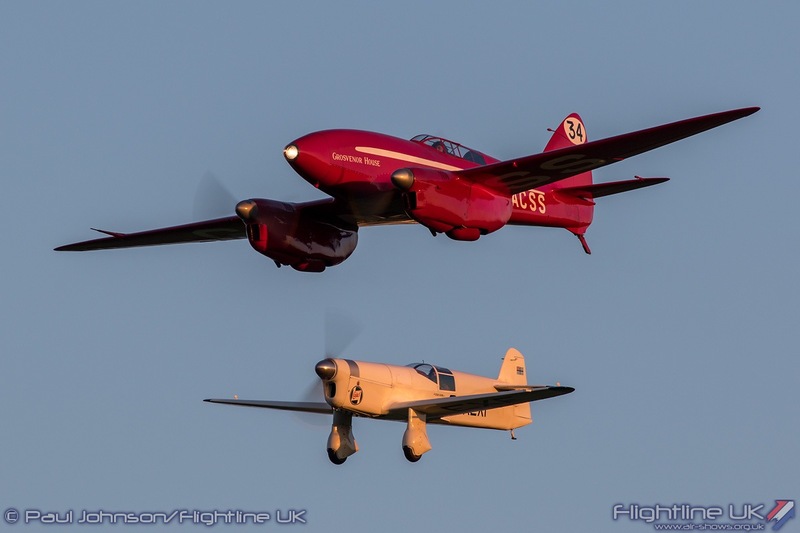 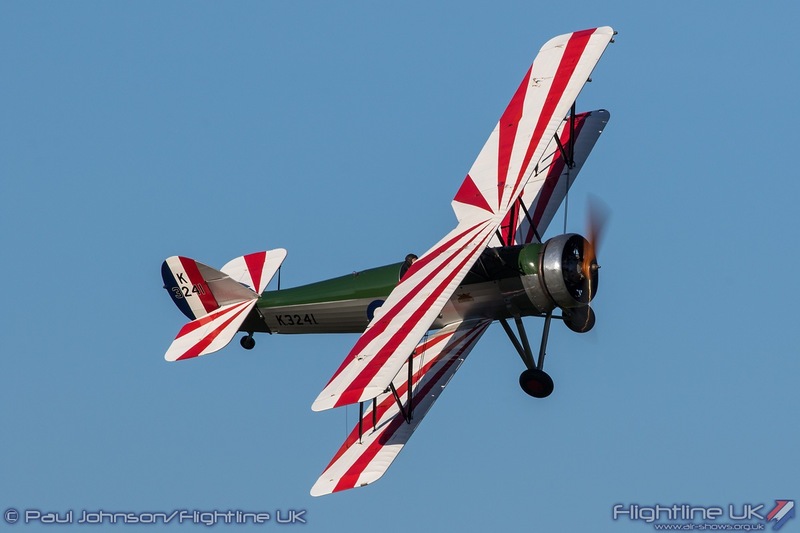 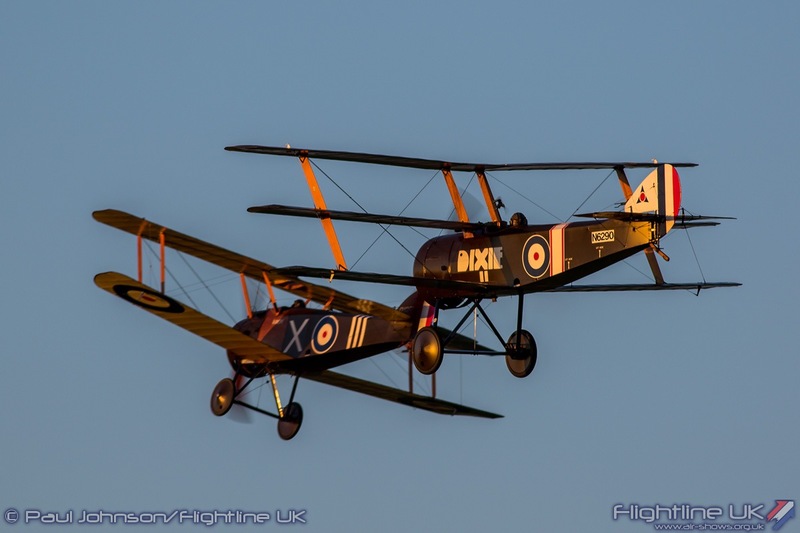 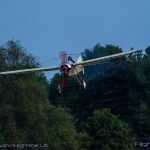 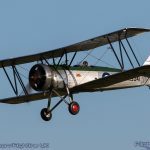 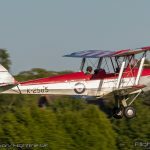 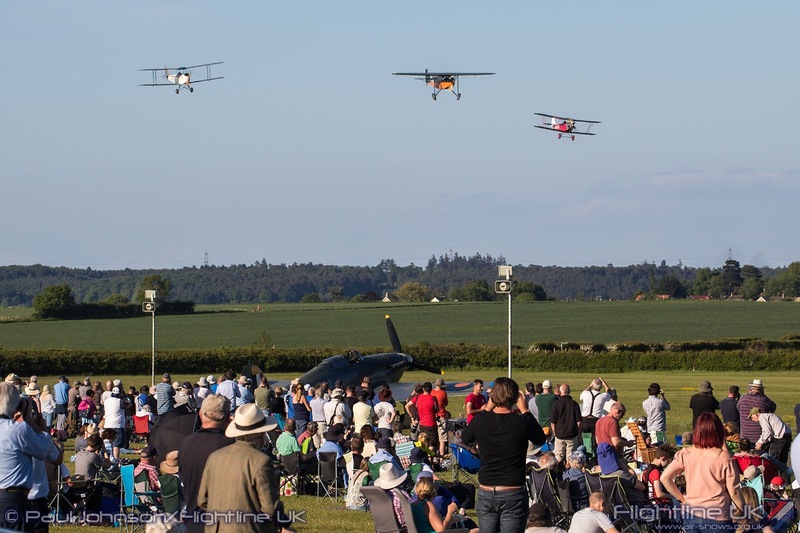 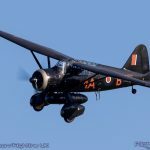 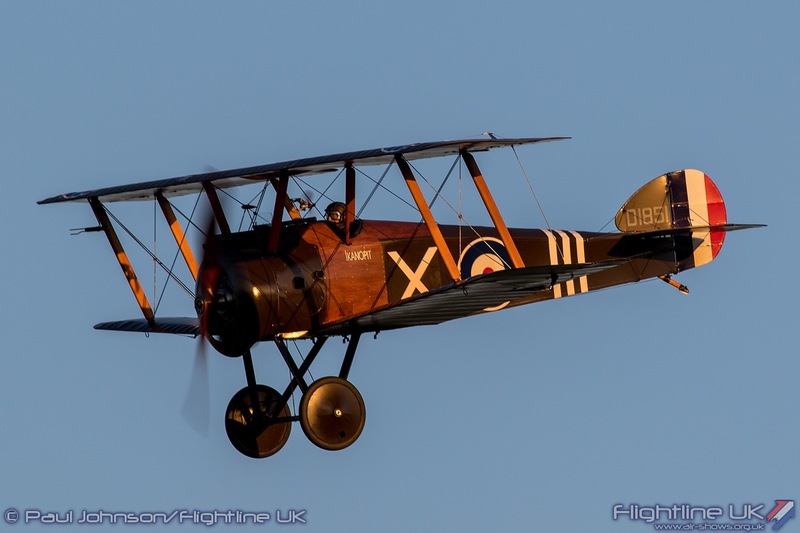 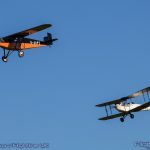 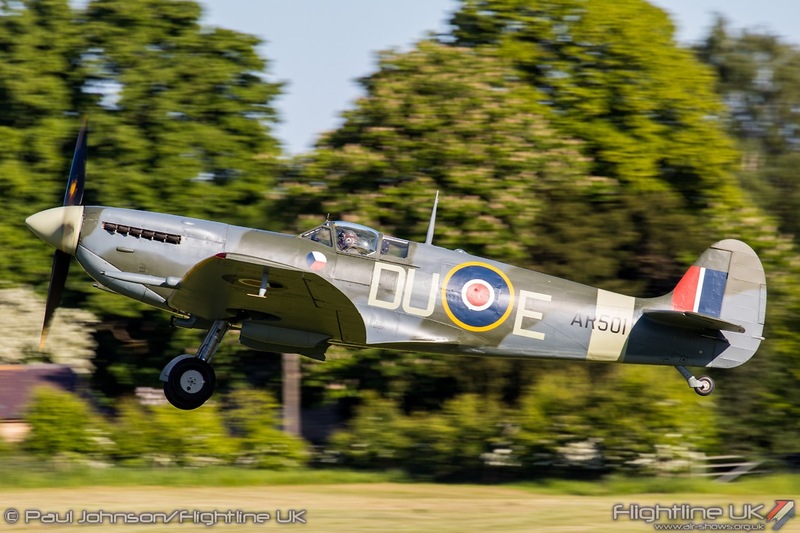 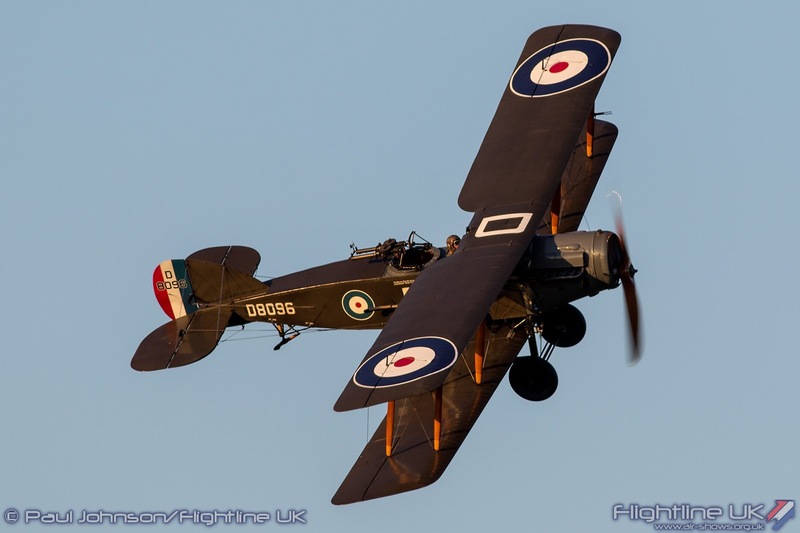 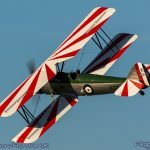 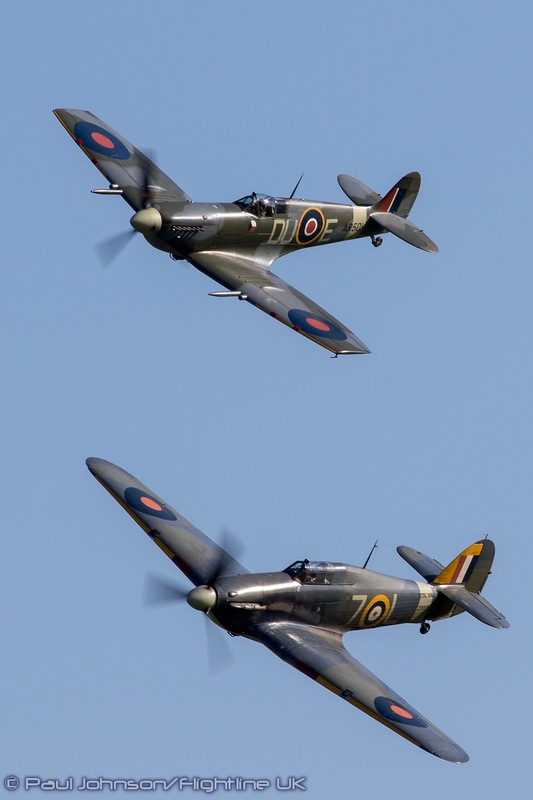 The Shuttleworth Collection’s series of airshows throughout the summer are always great affairs when the sun shines, but their Evening shows are truly magical. 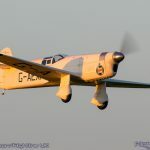 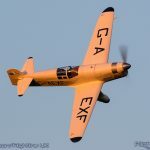 The May Evening Airshow was just such an occasion enjoying cloudless skies and virtually no wind. 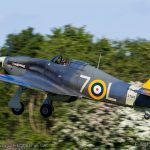 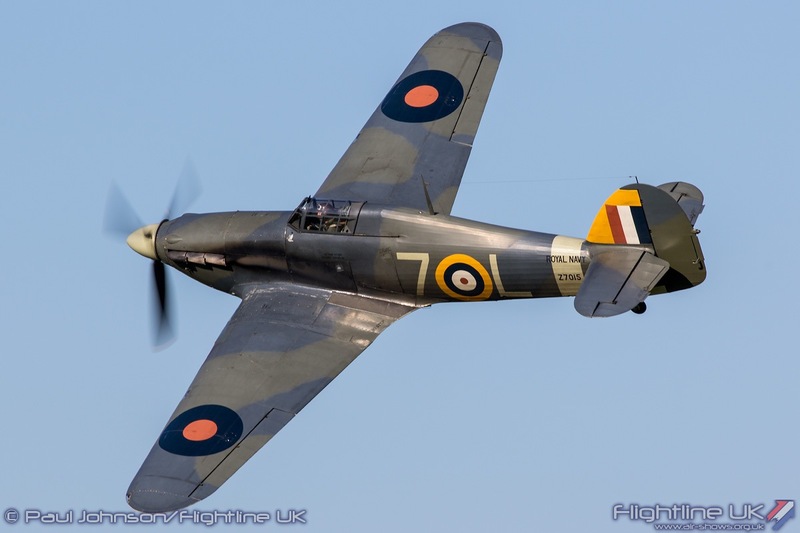 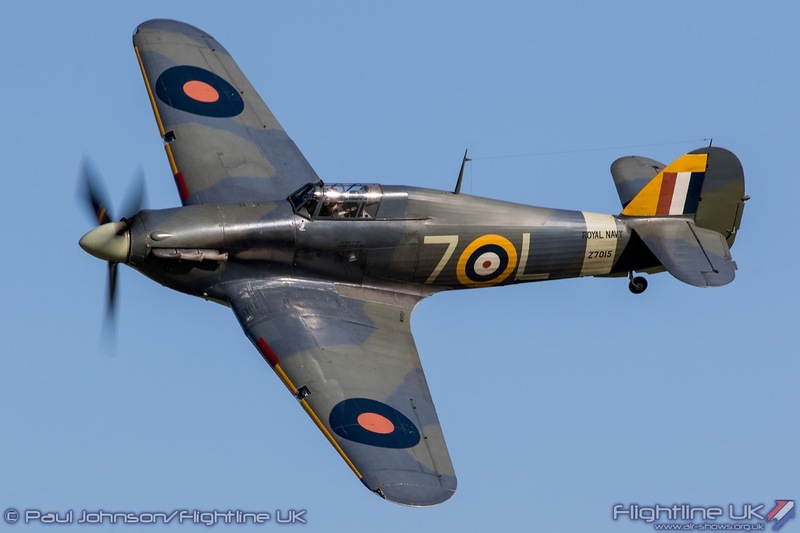 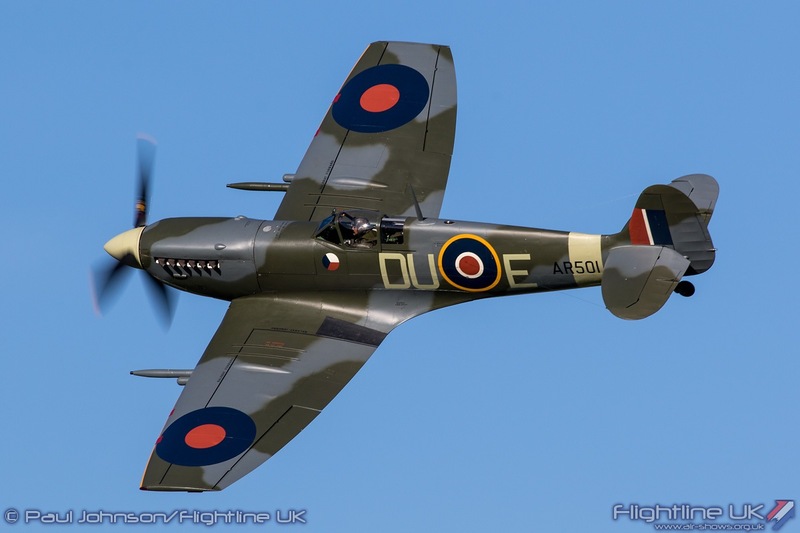 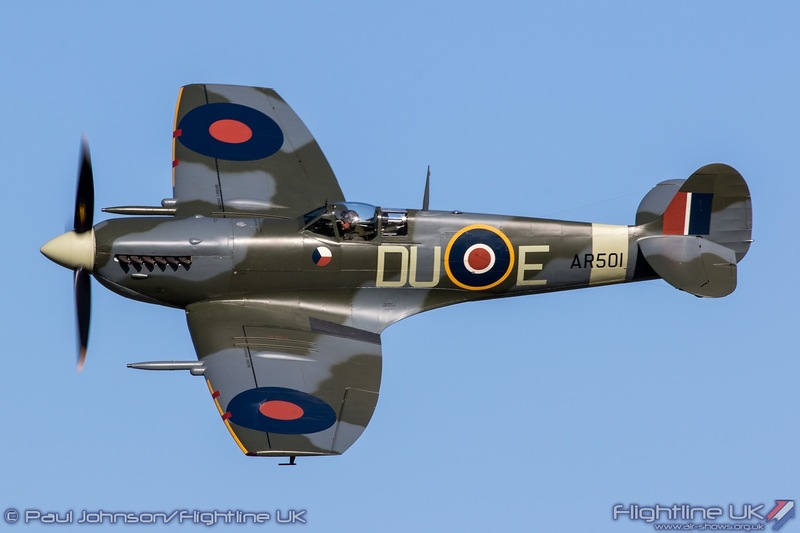 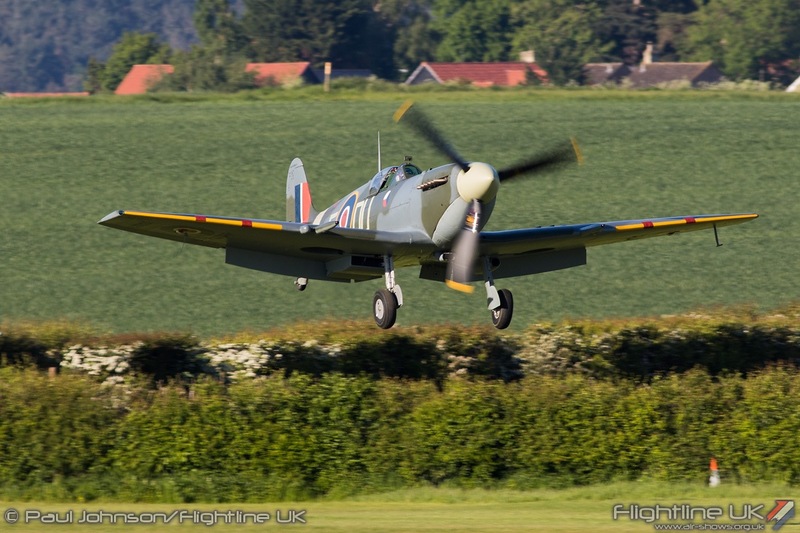 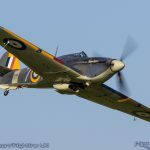 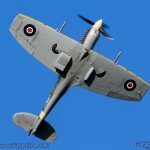 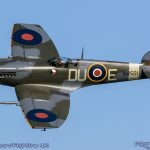 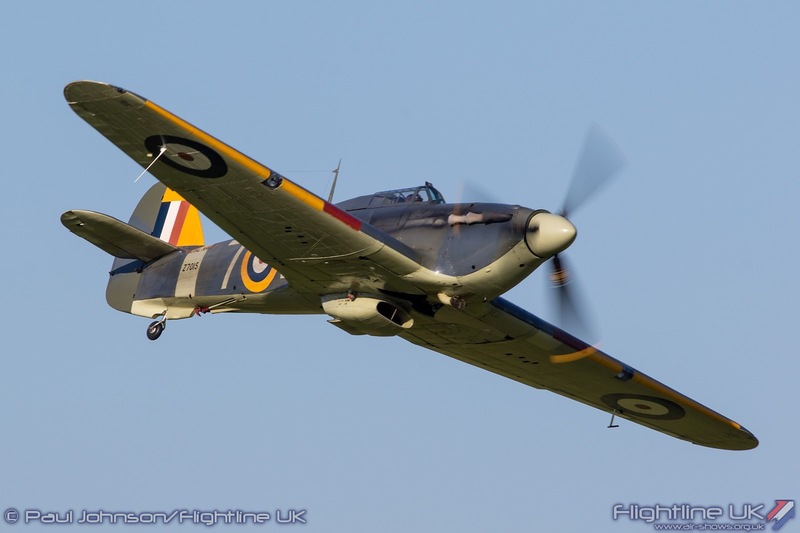 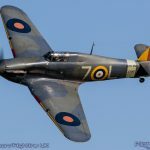 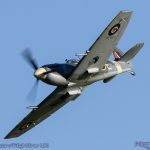 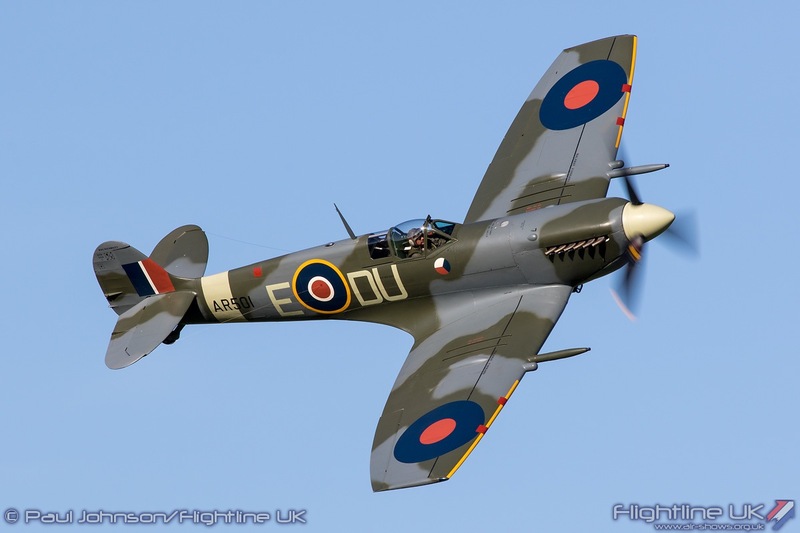 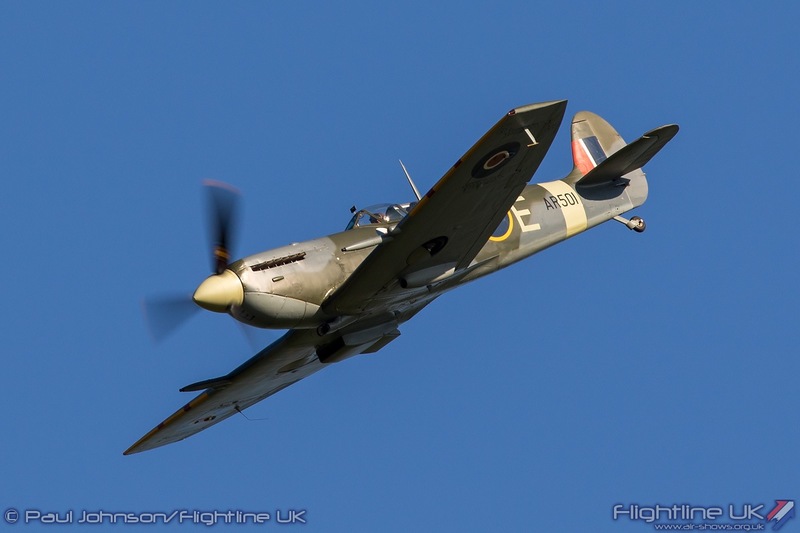 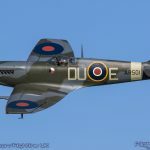 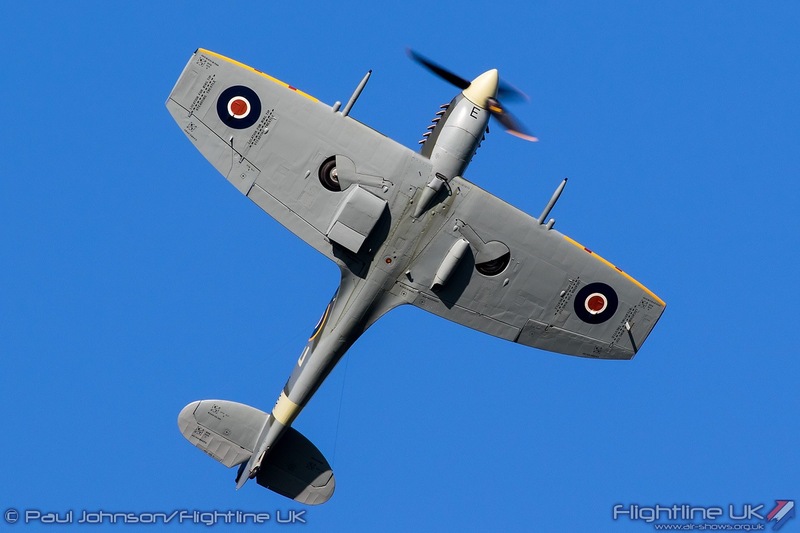 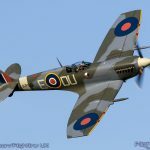 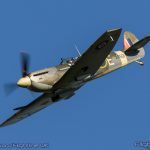 It was also a special airshow for the Collection’s engineering team as it marked the first public display by Supermarine Spitfire Vc AR501 following a 12 year refurbishment. 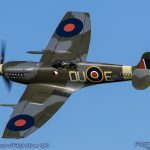 Saturday 19th May 2018 will undoubtedly go down in the record books as a good day for the United Kingdom with a spectacular Royal Wedding at Windsor plus the English and Scottish FA Cup Finals. 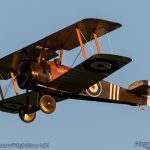 Aviation wise, there could be no finer place to top off such a great day than The Shuttleworth Collection at Old Warden who were hosting their first Evening Airshow of the year. 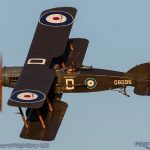 When the weather is perfect, the Evening Airshows are the most magical of all Shuttleworth airshows. 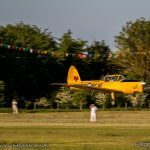 The Golden rays of sunlight piercing through the trees, the calm air, the smell of burnt castor oil and the lush green backdrop together make for the most special of settings in which to watch a flying display. 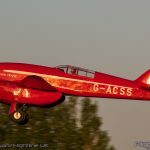 Evening airshows always relaxed affairs too with plenty of time for a picnic and to wonder around the Collection, the Swiss Garden and to take a close up view of the aircraft in the ‘Uncovered’ paddock. 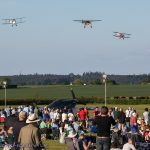 The May Evening Airshow got underway with a very special and evocative symphony of Rolls Royce Merlins. 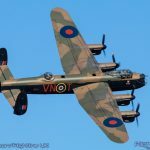 The first ‘item’ was a trio of flypasts from the Battle of Britain Memorial Flight Avro Lancaster B1 returning to RAF Coningsby. 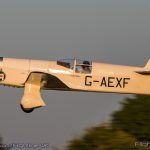 The crew really took advantage of Old Warden’s dog-legged crowd line showing off the top surfaces of the aircraft to their fullest extent before heading north. 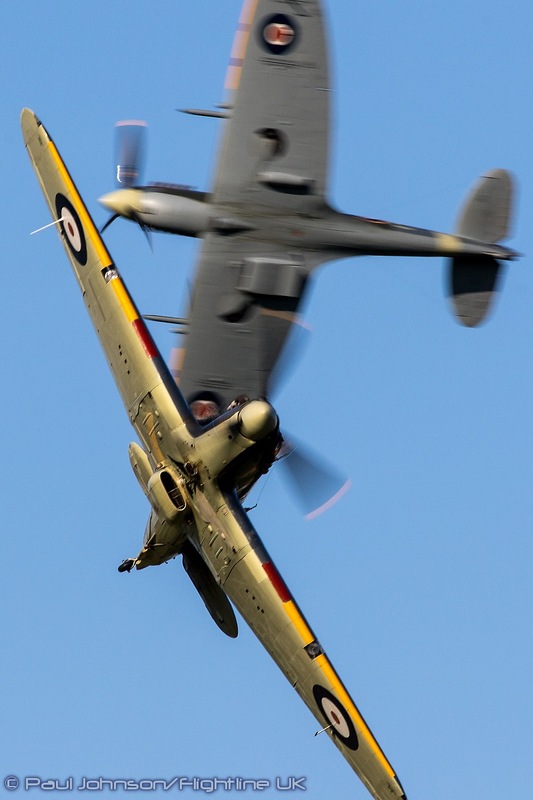 The Lancaster was followed by the Collection’s Hawker Sea Hurricane Ib and Supermarine Spitfire Vc. 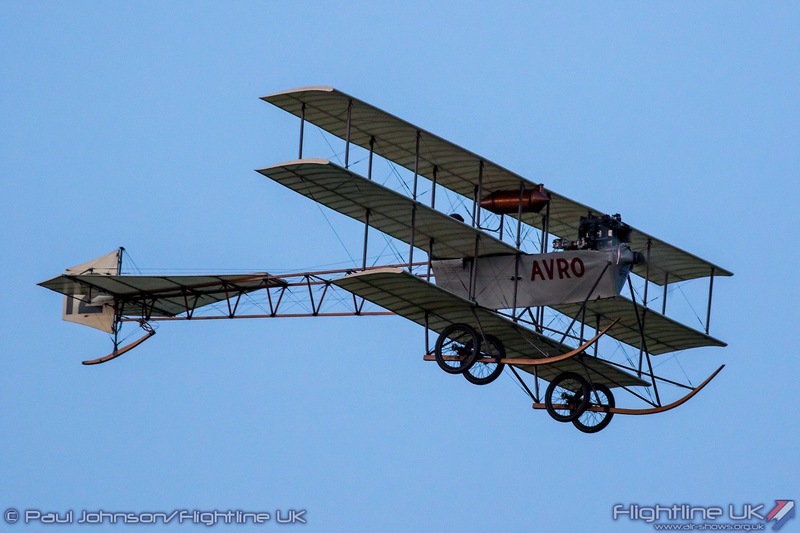 The latter, serial AR501, was making its first public appearance following an extensive 12 year log restoration project. 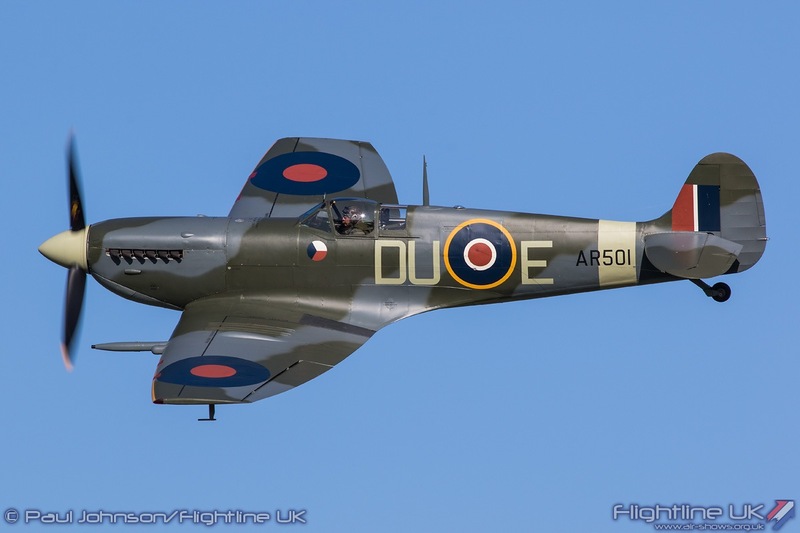 It may have been a long project, but it has certainly been worth the wait with the Spitfire emerging in its authentic 312 Free-Czech Squadron looking absolutely glorious. 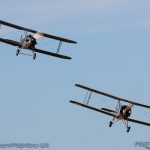 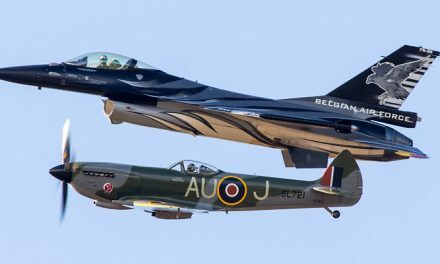 The pair of fighters flown by Paul Shakespeare and Stu Goldspink performed some formation passes before splitting in solo displays. 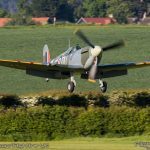 The Spitfire concluded the “fighter slot” with a lyrical aerobatic display flown by Stu marking AR501’s return to skies and we look forward to seeing many more such displays! 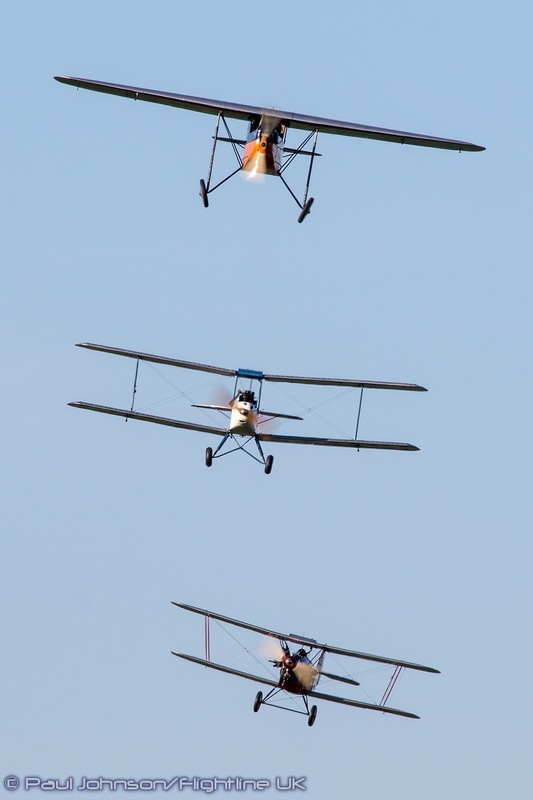 As is tradition for Old Warden flying displays, the Collection’s aircraft performed in a succession of themed groups. 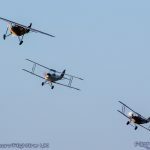 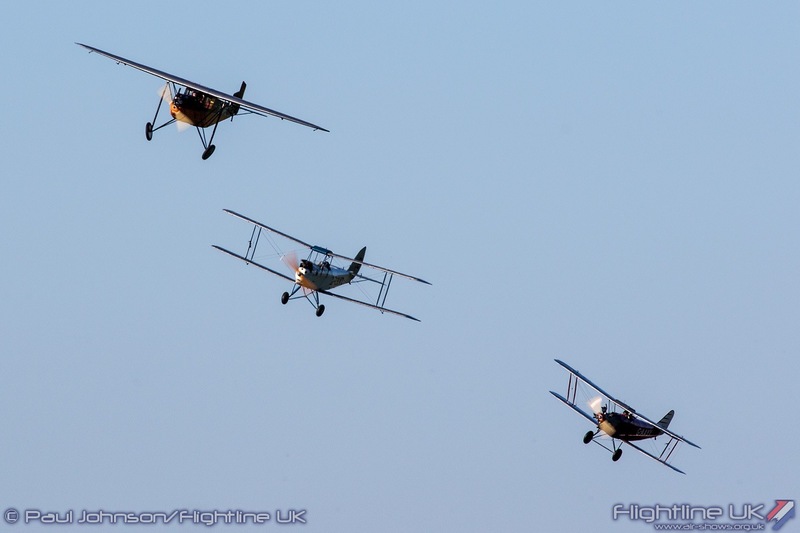 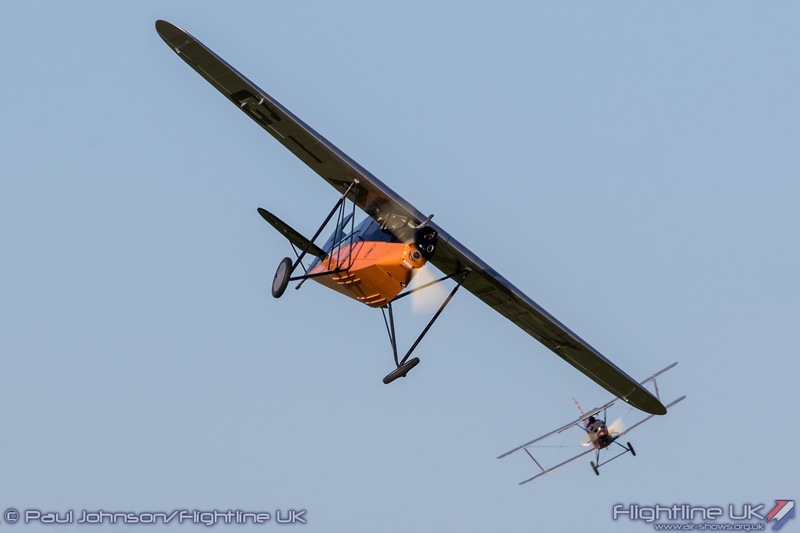 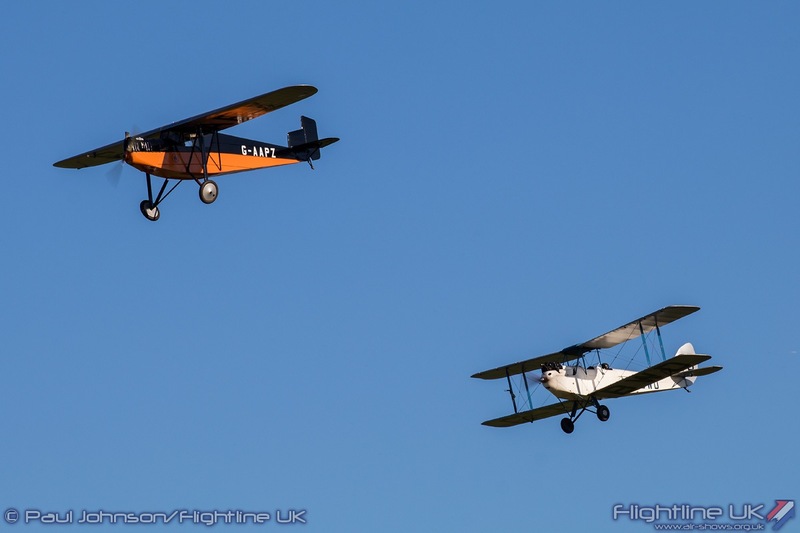 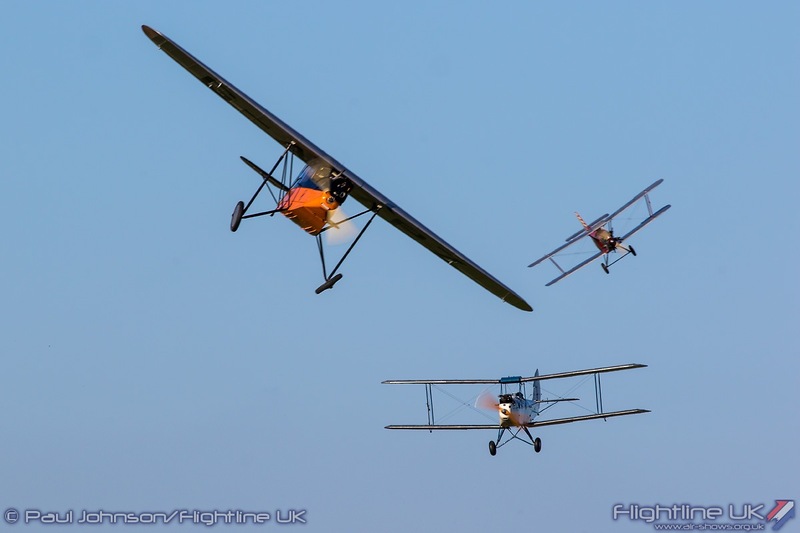 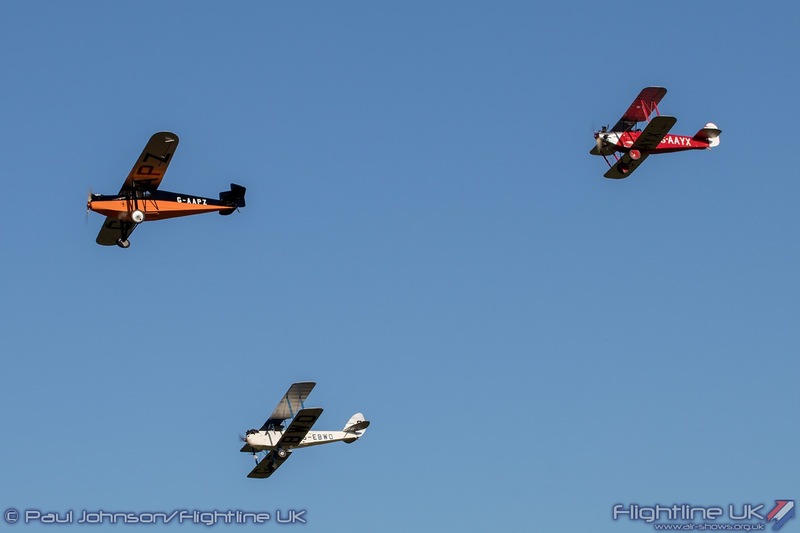 There was a charming formation and tail-chase routine of “Aerial Carriages” which featured the Southern Marlet, de Havilland DH60 Cirrus Moth and the Desoutter. 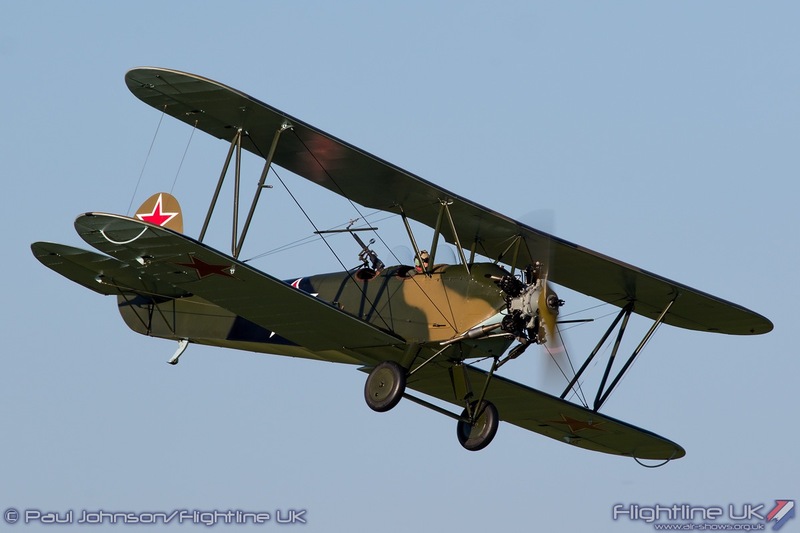 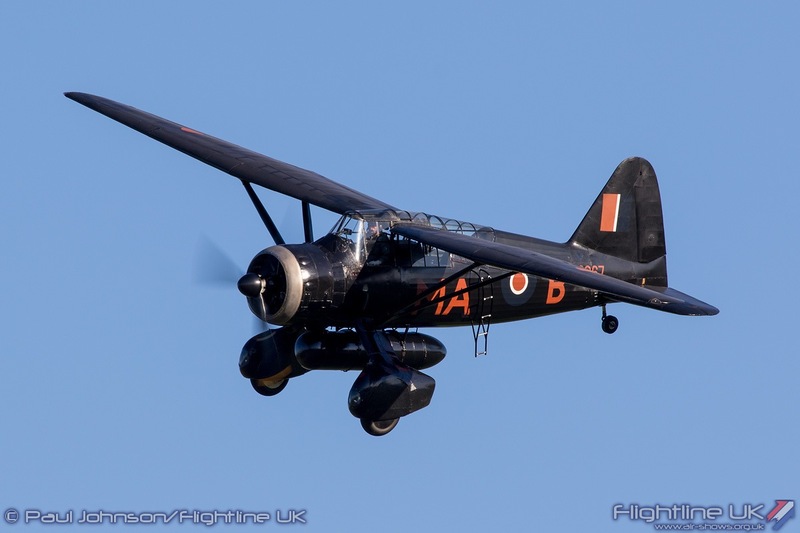 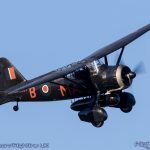 A for more potent pairing saw the Westland Lysander flying with the Polikarpov Po-2 to mark Army Co-operation flying during the Second World War. 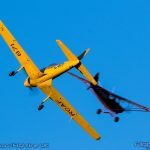 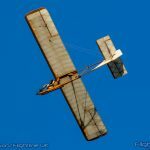 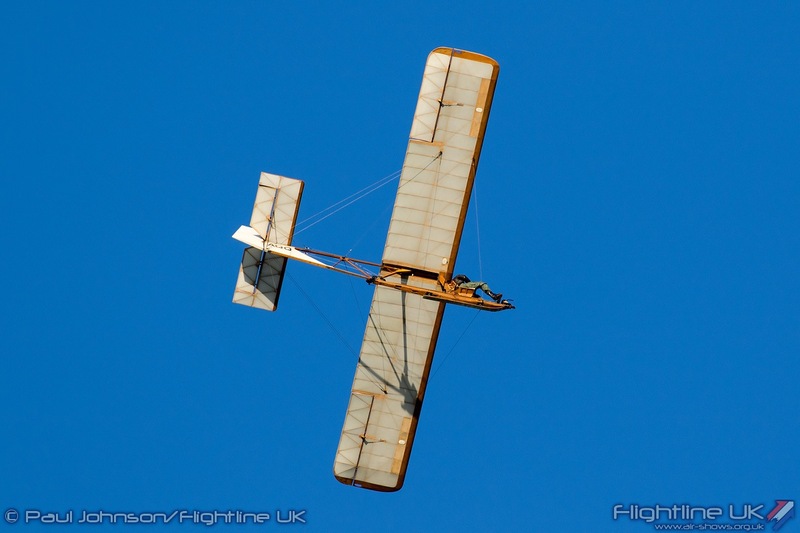 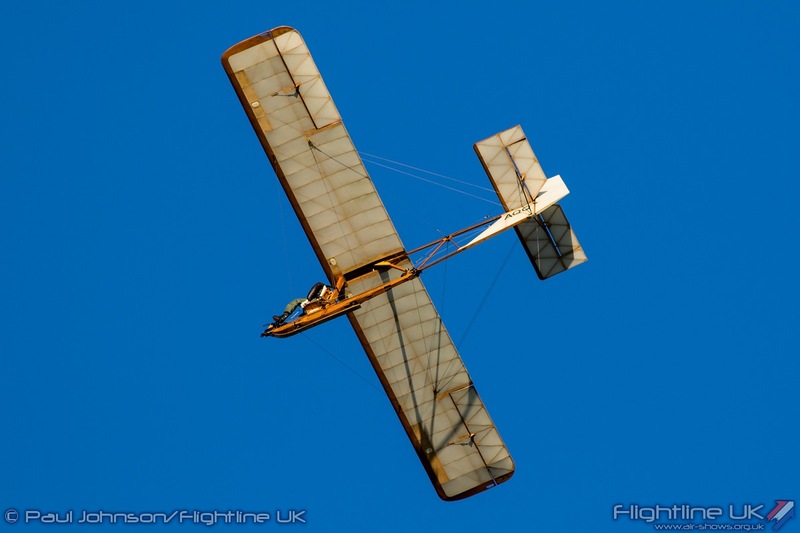 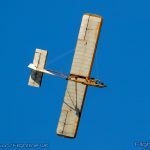 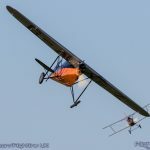 At the other end of the scale, the incredibly basic EON Primary Glider was aero-towed to height by the Piper Super Cub before returning to earth through a gentle series of turns. 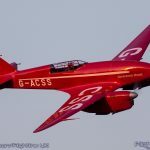 While the combination gained height, the little Comper Swift gave a short solo ‘joker’ display to keep the action going. 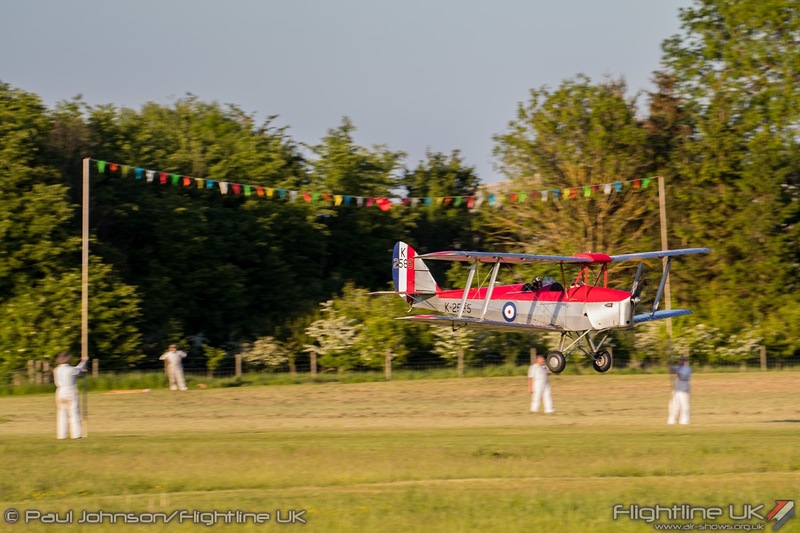 “Barnstorming” has become another tradition at Shuttleworth. 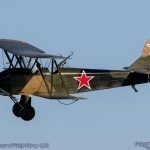 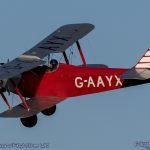 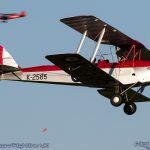 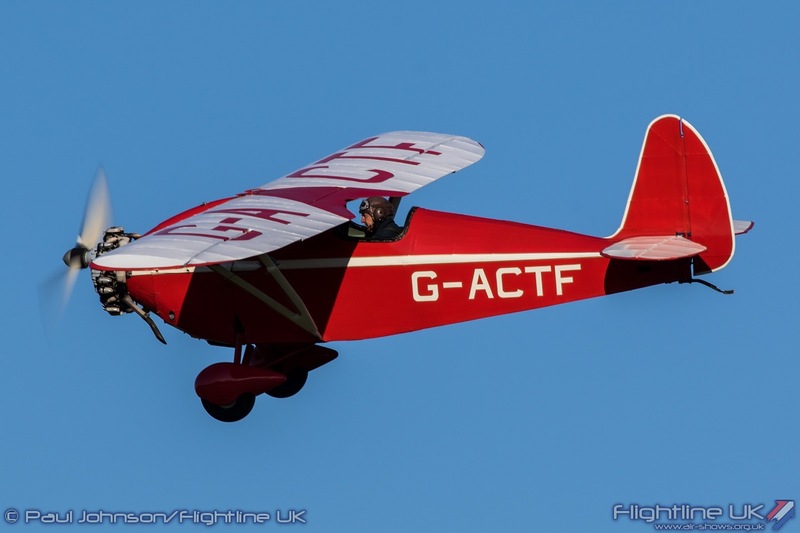 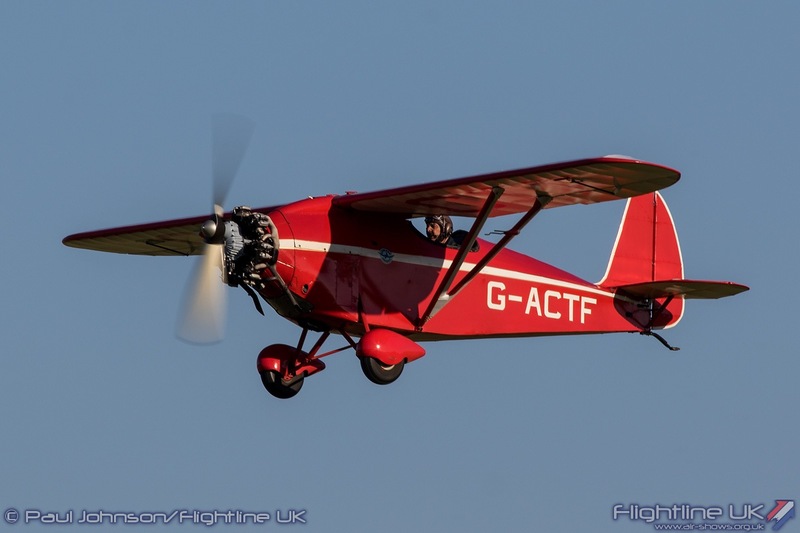 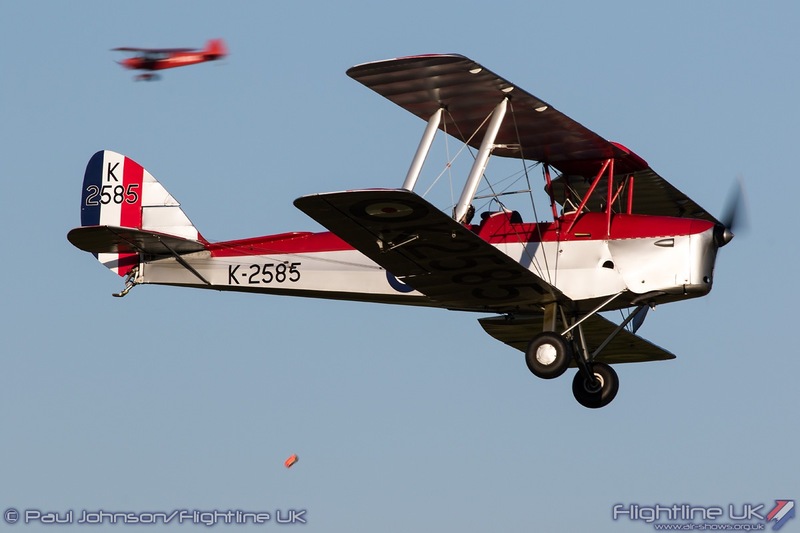 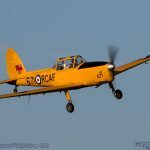 For the evening show, the de Havilland DH82a Tiger Moth, Miles Magister, Piper Super Cub and de Havilland Canada DHC-1 Chipmunk took part in flour-bombing, balloon-bursting and limbo flying. 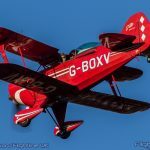 Adding to the colour during the evening was Chris Waddington displaying his little Pitts S-1S Special which was beautifully turned out in classic red with chevrons on the top surfaces. . Chris gave a lovely display of classic aerobatics full of salmon leaps, rolls, Cubans and more. 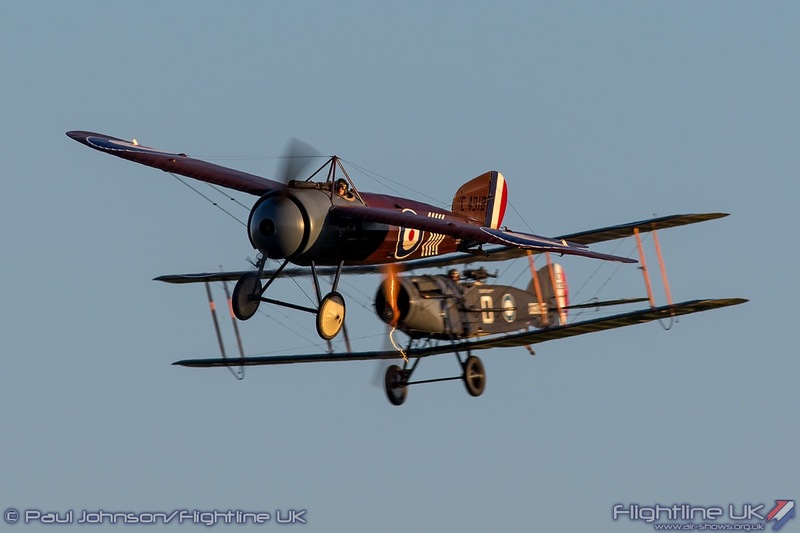 A highlight of the display was the section of flying devoted to World War One aviation. 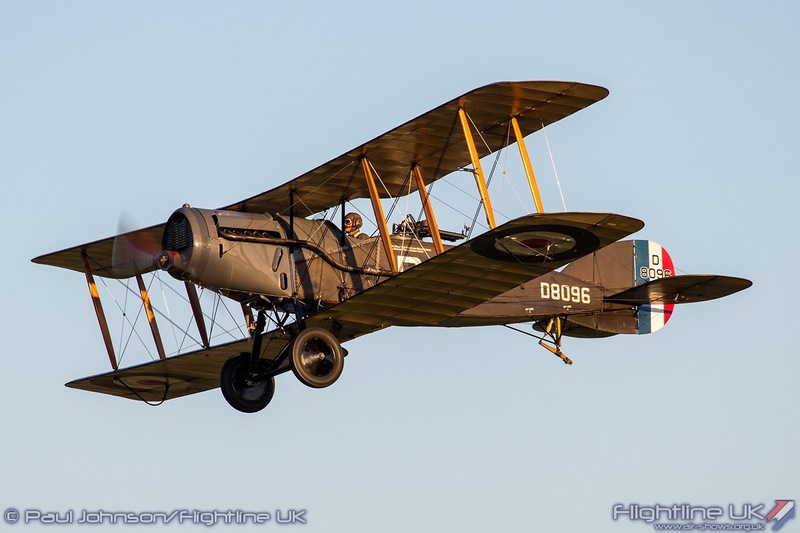 The collection’s Bristol F2b Fighter led away the quartet Great War fliers. 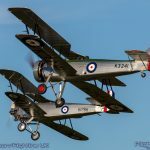 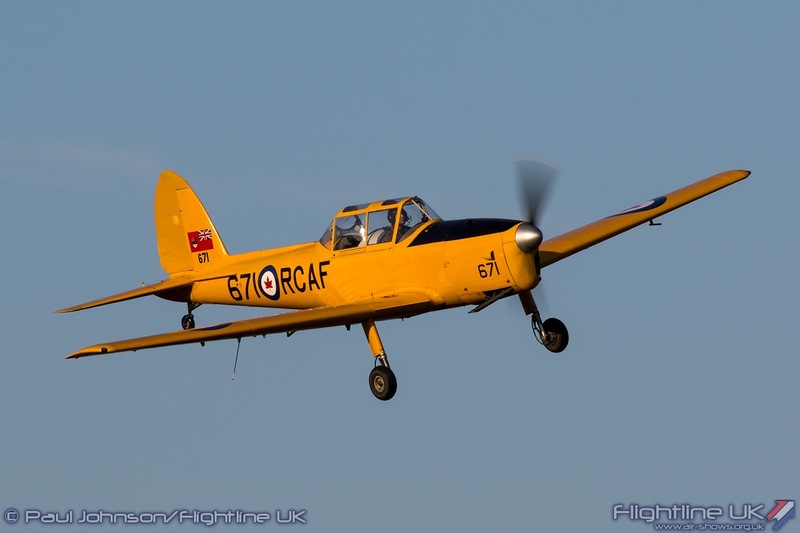 It was a particularly special occasion too as the other three aircraft were all re-production aircraft made by the Northern Aeroplane Workshops. 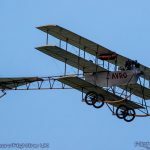 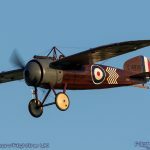 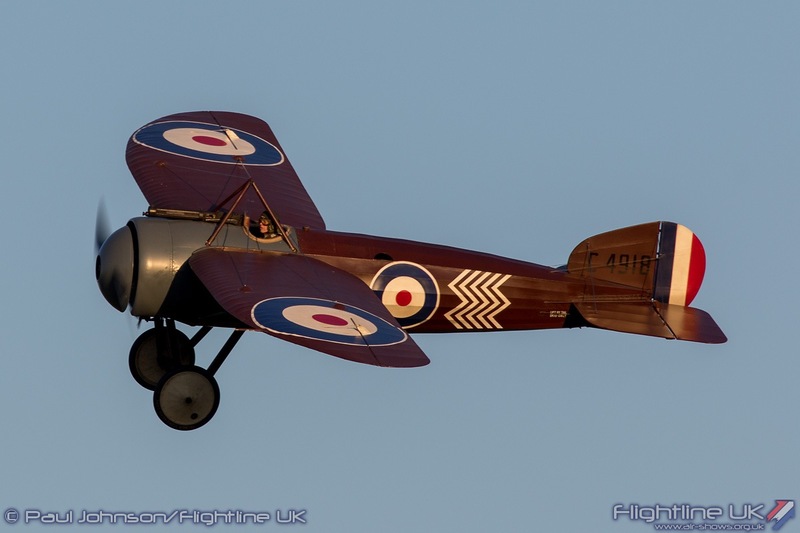 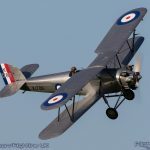 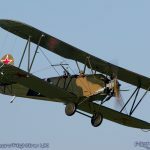 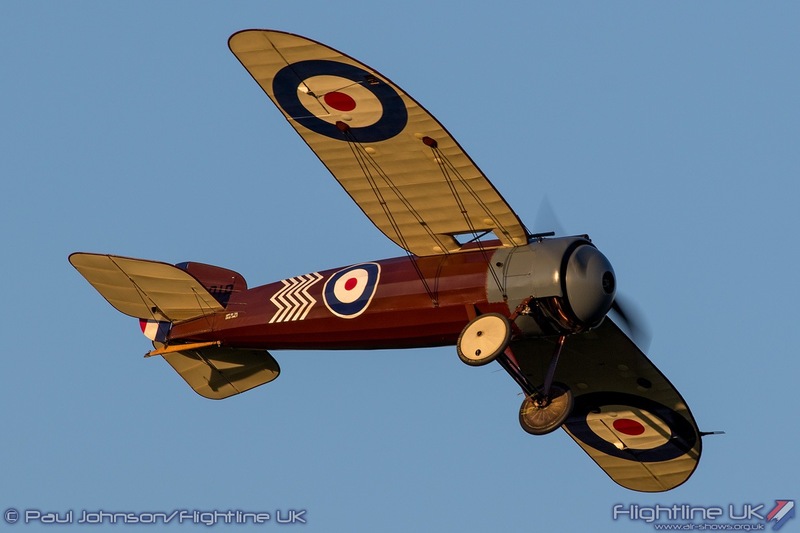 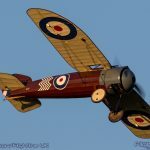 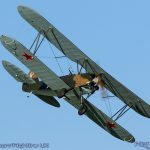 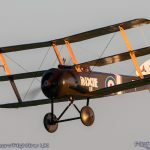 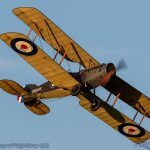 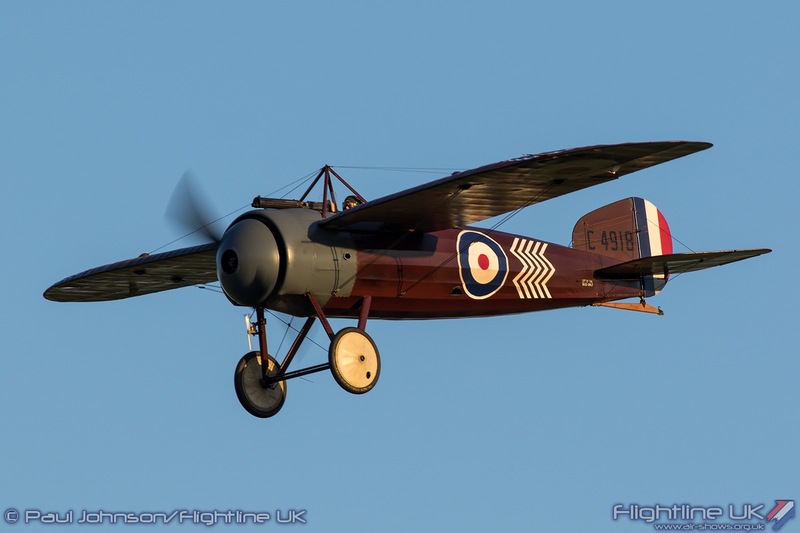 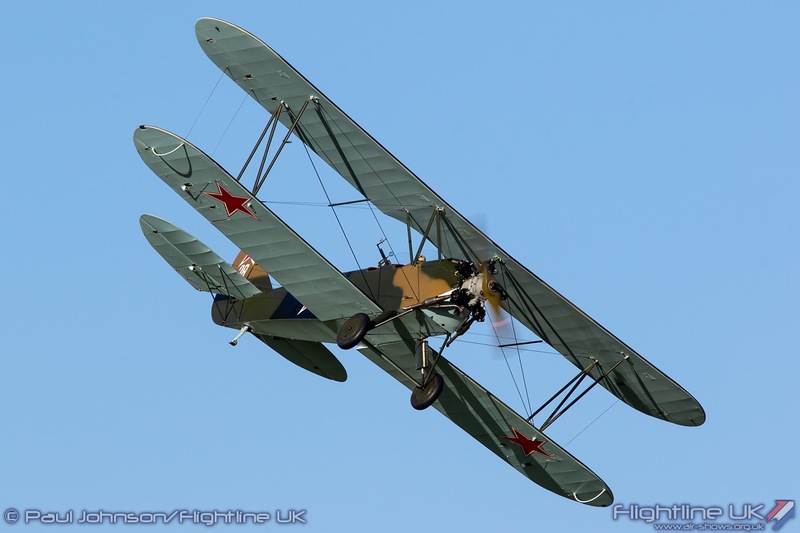 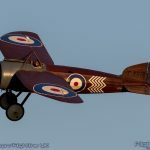 Based at Batley in Yorkshire, the NAW worked with the Shuttleworth Collection to produce some extraordinary “late production” aircraft which included the Bristol M1C, the Sopwith Triplane and the Sopwith Camel F1 which flew in the display. 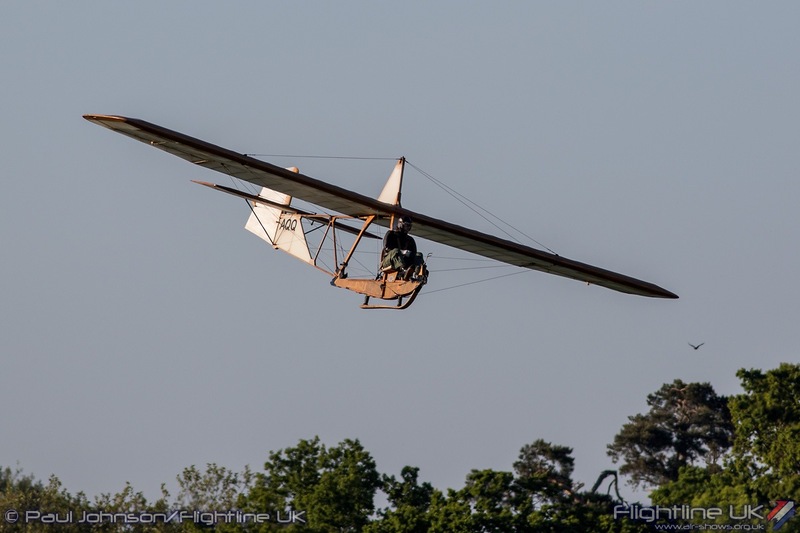 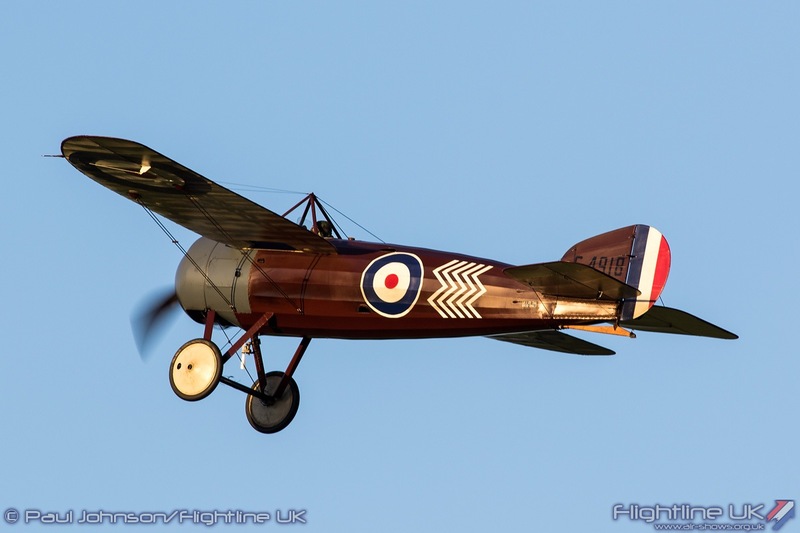 The NAW closed in 2014, but the Sopwith Camel was transferred and completed at Old Warden flying for the first time last year. 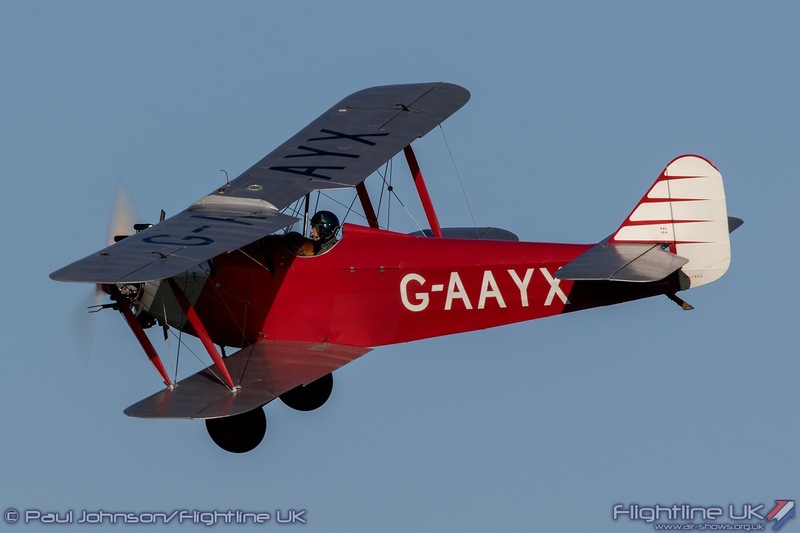 Earlier this year, the Camel was awarded the Dennis Penrose Silver Salver trophy for ‘Vintage Aeroplane of the Year’ by the Vintage Aero Club marking the superb workmanship and attention to detail that has gone into the project. 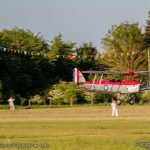 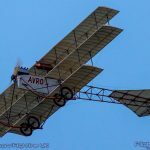 The May Evening Airshow was just the second public flying appearance by the Camel which looked and sounded superb in the golden light. 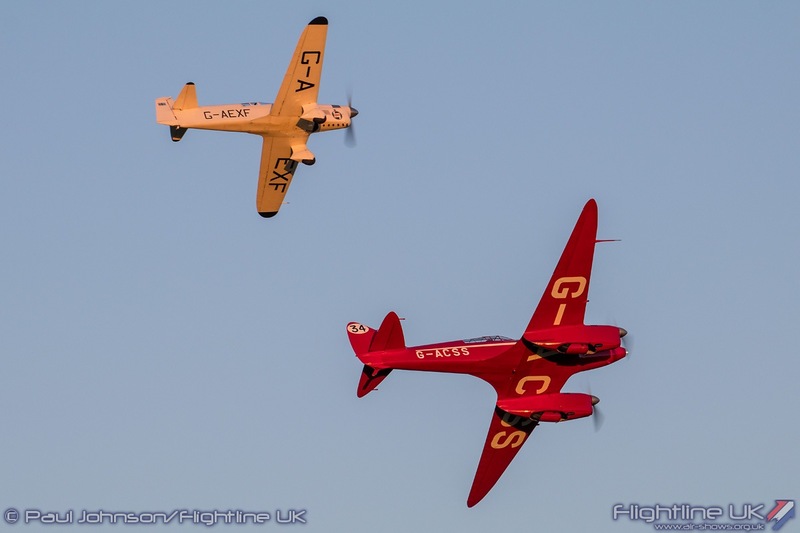 The penultimate themed display of the evening showcased 1930 racing aeroplanes with the classic pairing of de Havilland DH88 Comet and Percival Mew Gull. 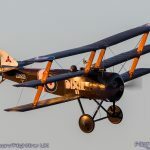 Lit up by the last golden rays of sunlight, the aircraft powered around the clear Bedfordshire skies performing elegant wingovers at each end of the display line. 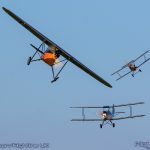 The show closed with three of the Edwardians. 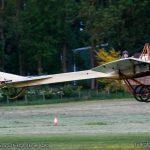 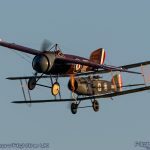 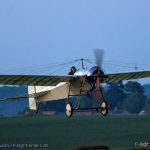 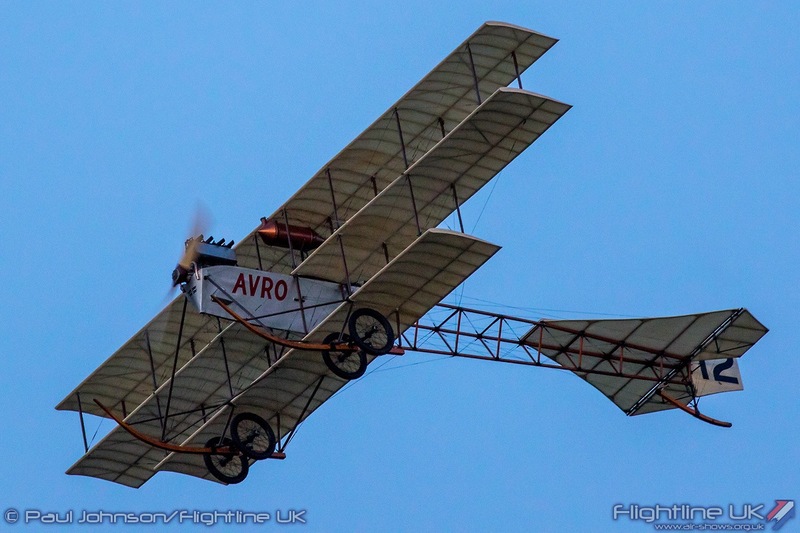 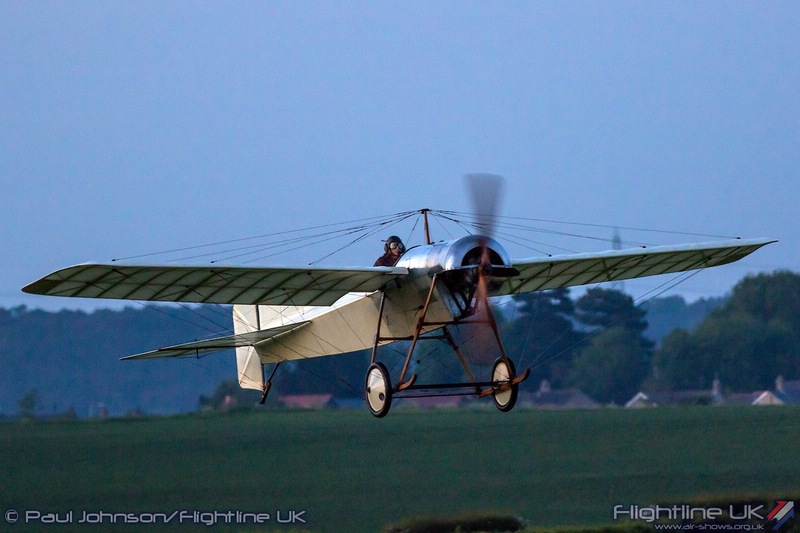 The Deperdussin made a pair of very impressive hops along the runway while both the Avro Triplane and Blackburn Monoplane Type D flew in the early twilight. 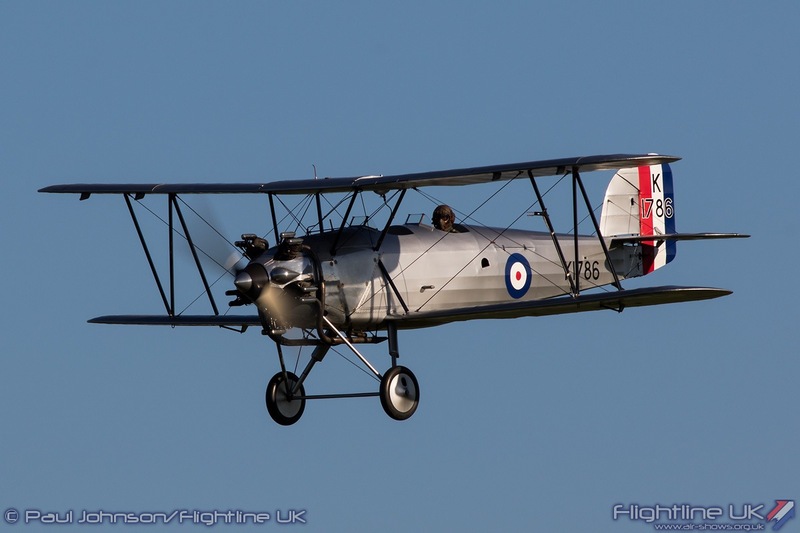 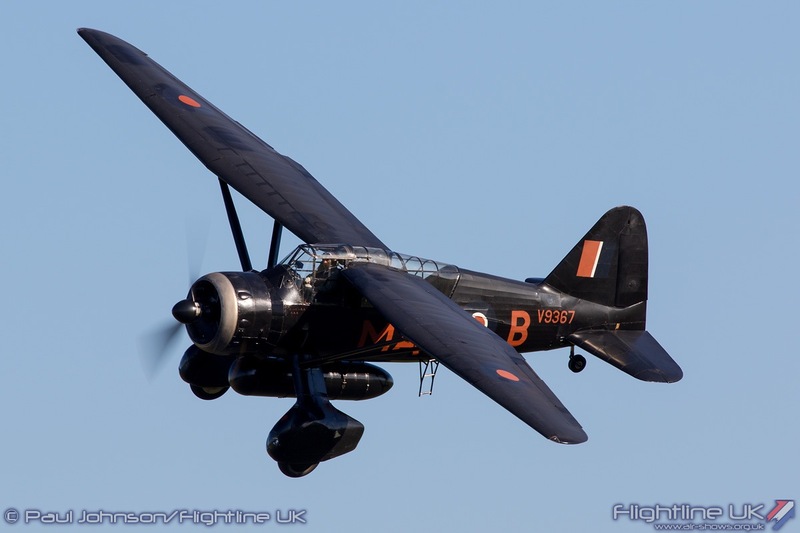 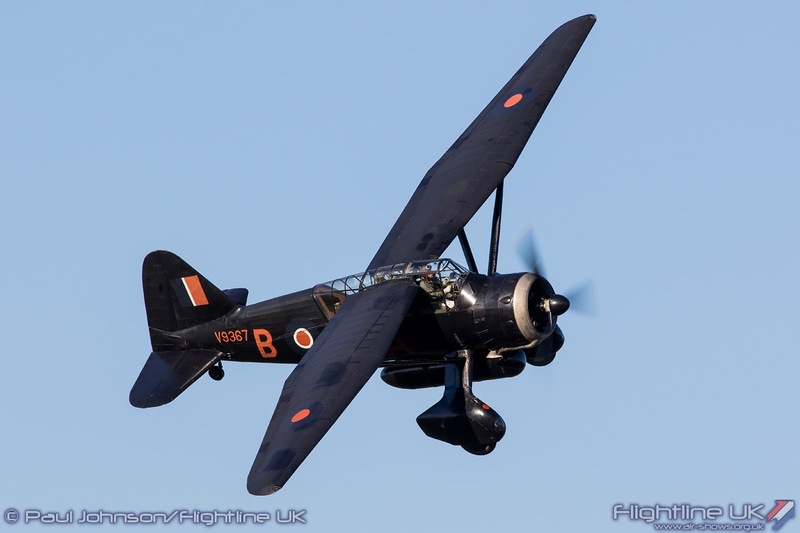 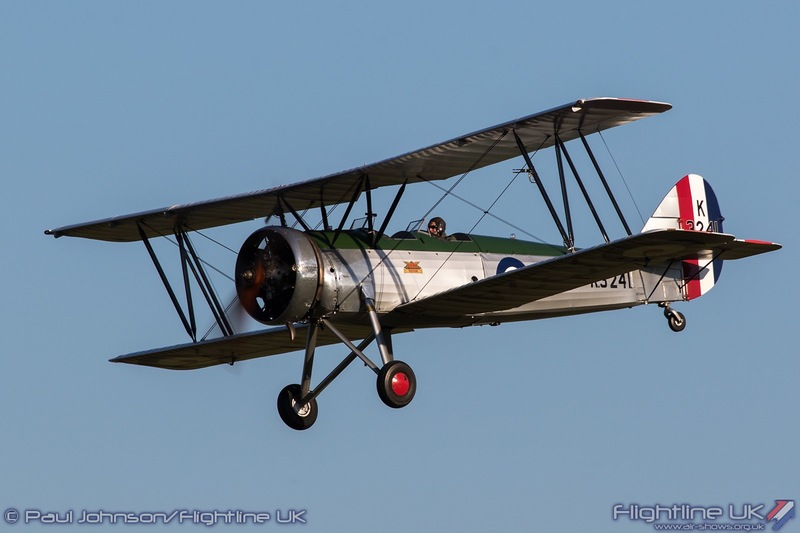 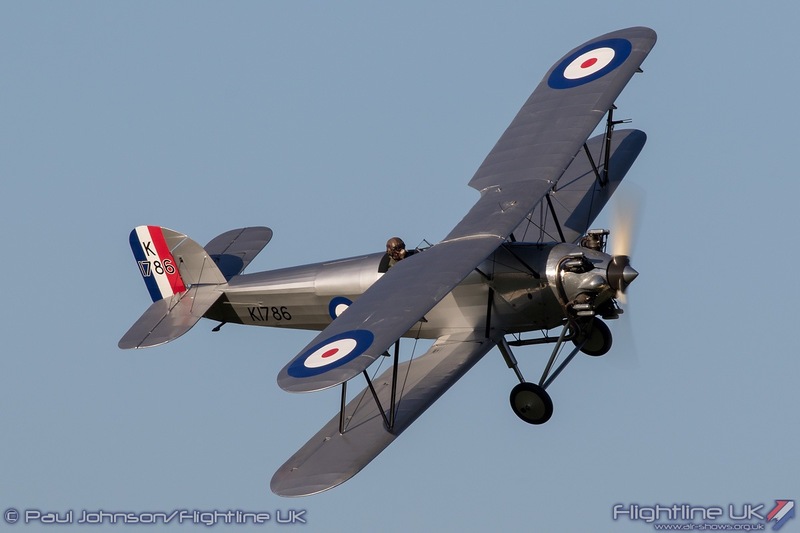 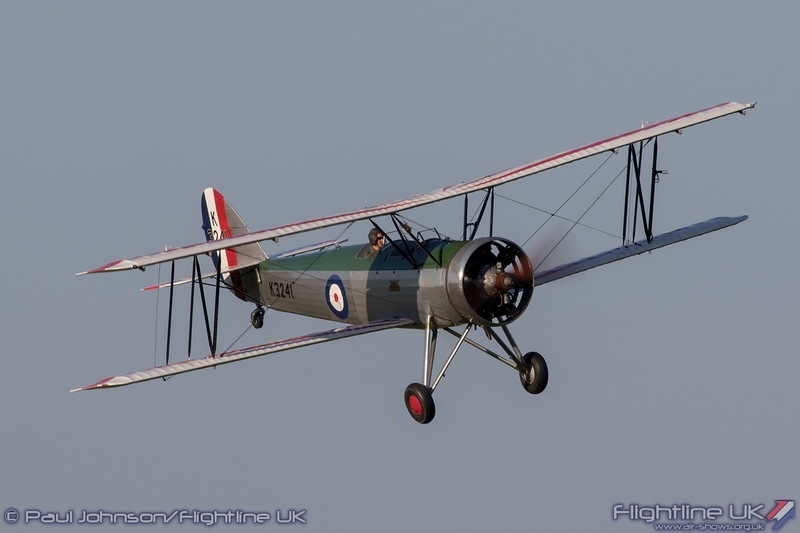 It is incredible to think that the Blackburn is now 108 years old and is currently the oldest aircraft anywhere operating with its original combination of engine and hull. 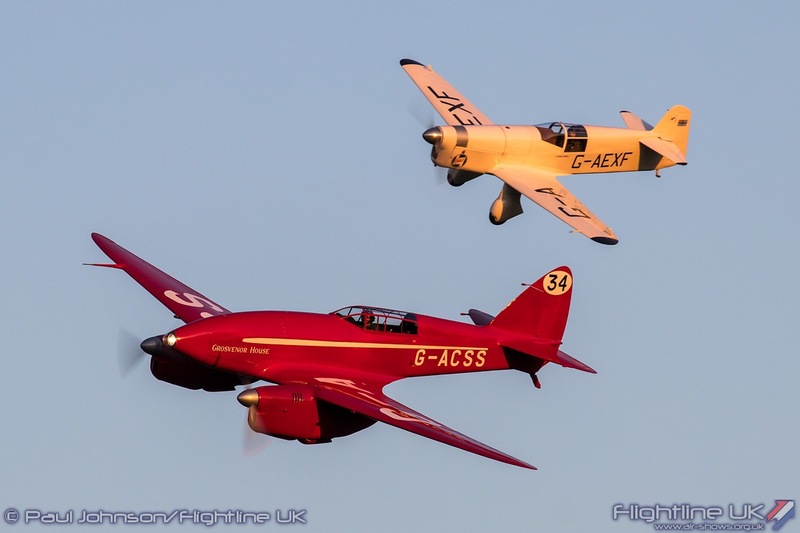 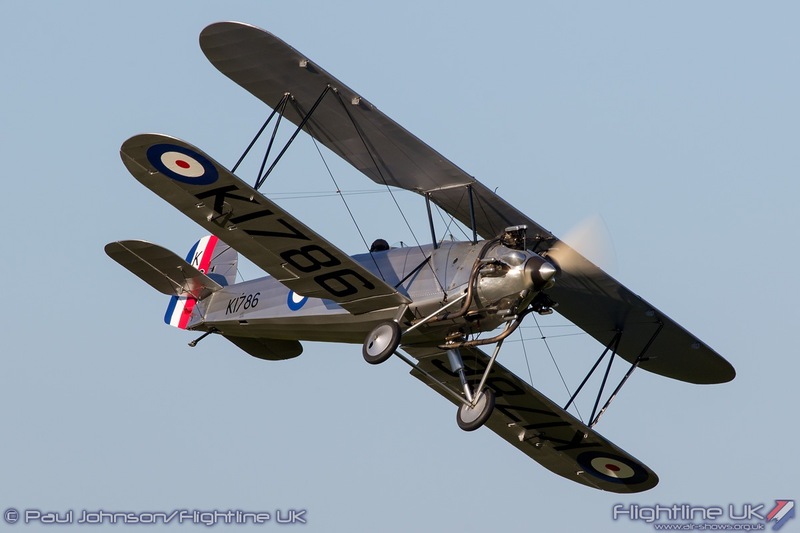 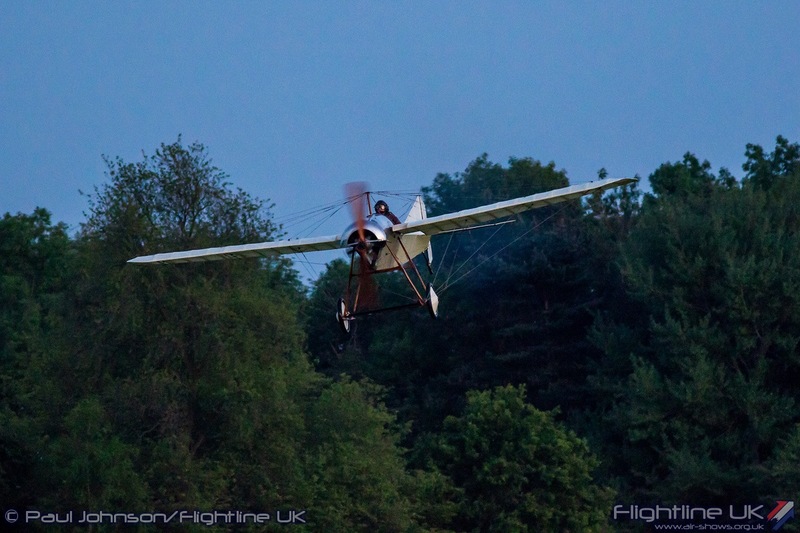 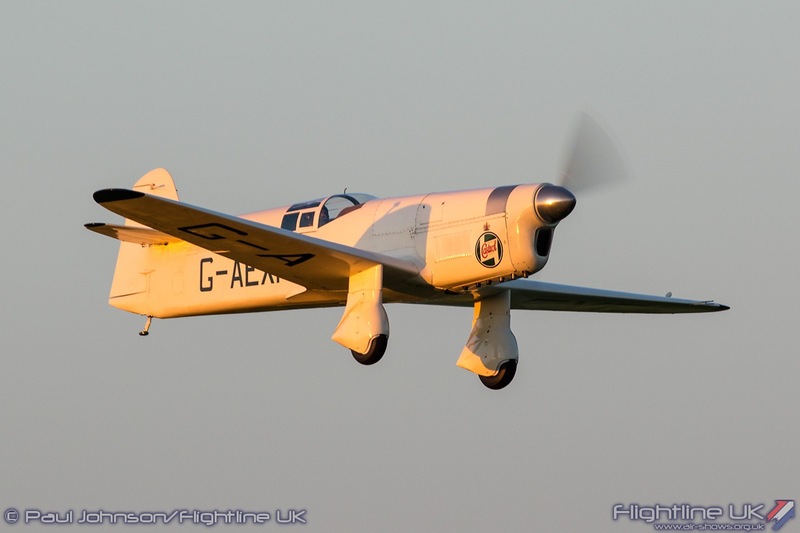 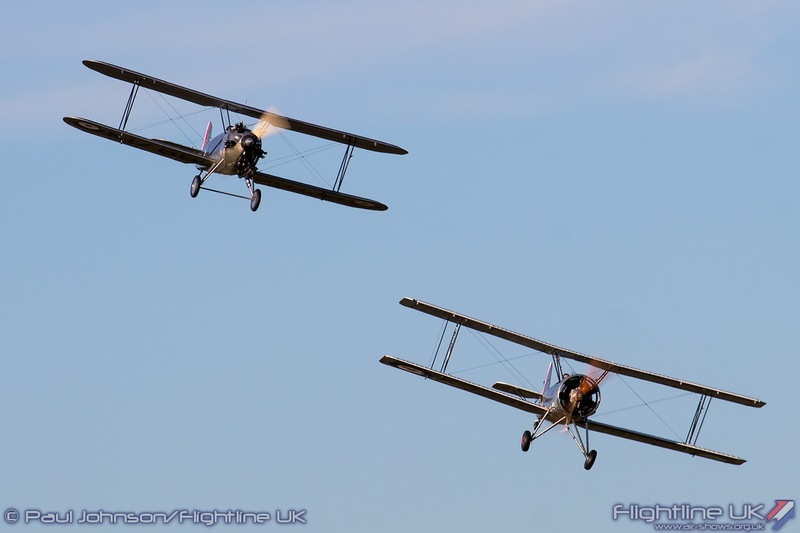 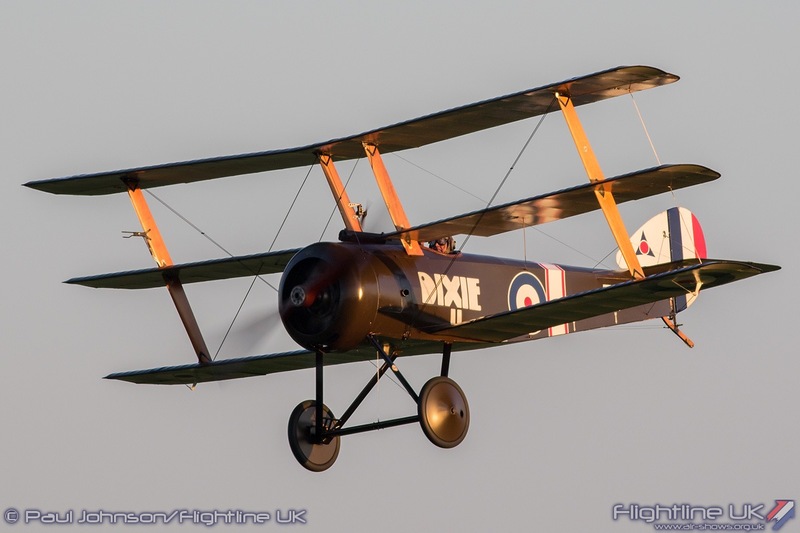 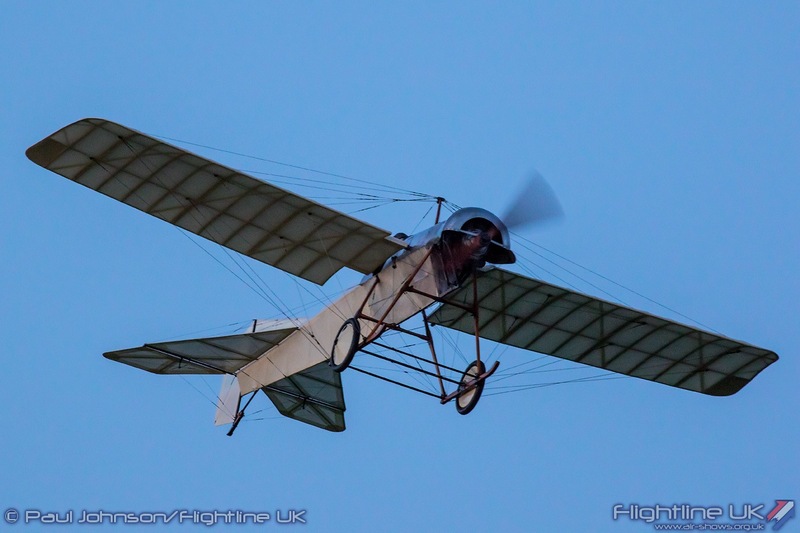 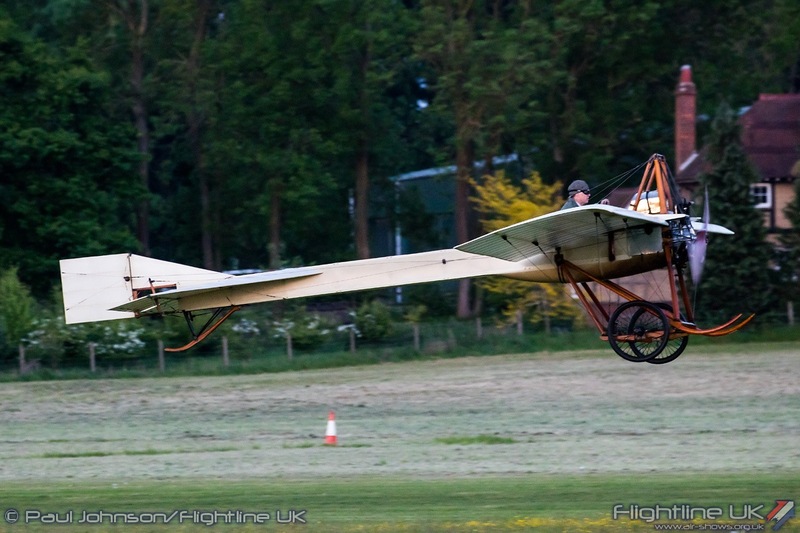 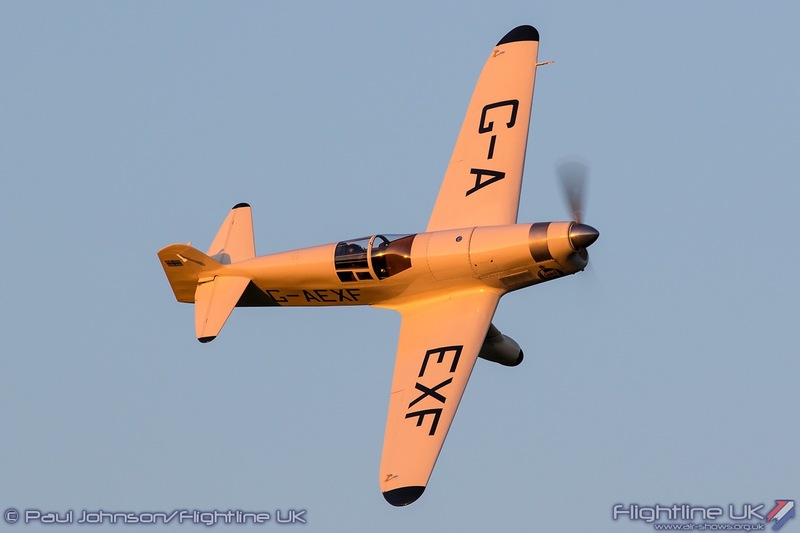 The formula for a Shuttleworth Evening Airshow is very simple – beautiful aircraft flying in stunning surroundings. 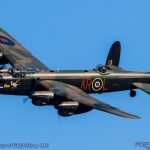 These events may be slightly lower key than the main Sunday displays but they really do have a character all of their own. 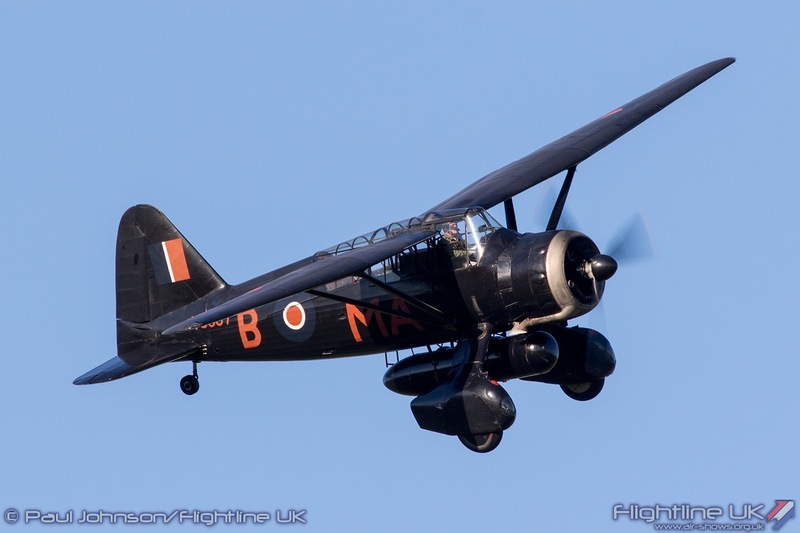 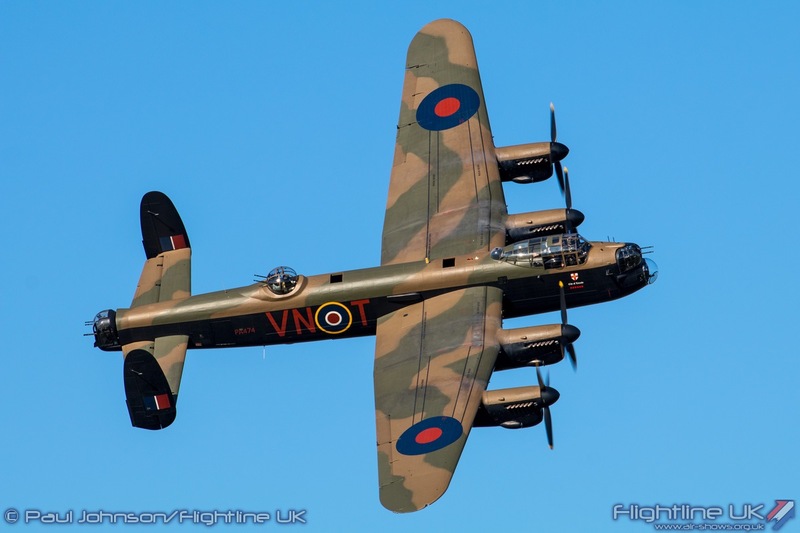 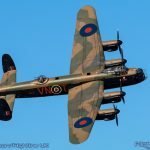 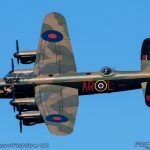 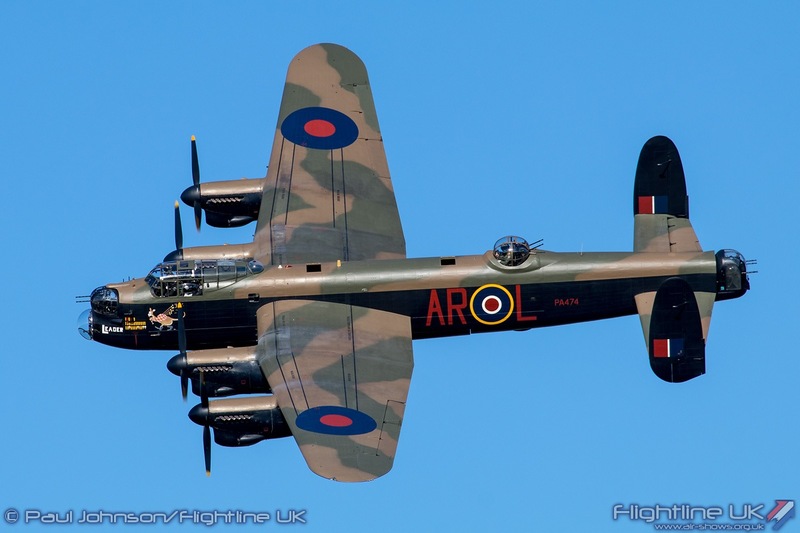 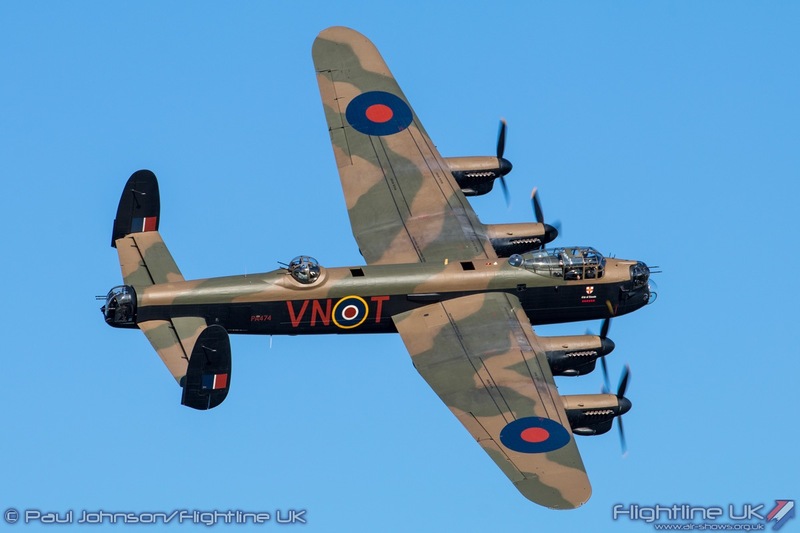 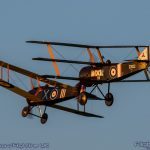 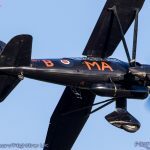 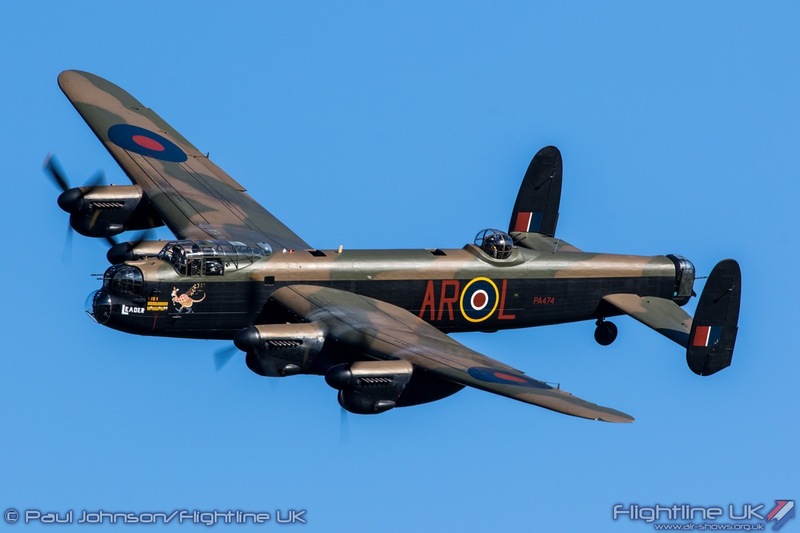 For the May show, the Lancaster flypasts, the debut of the Spitfire and the appearance by the Camel were the icing on the cake to what was the perfect evening flying display.